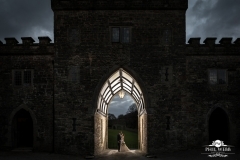 Many future brides dream of their fairy tale wedding being in a Castle. 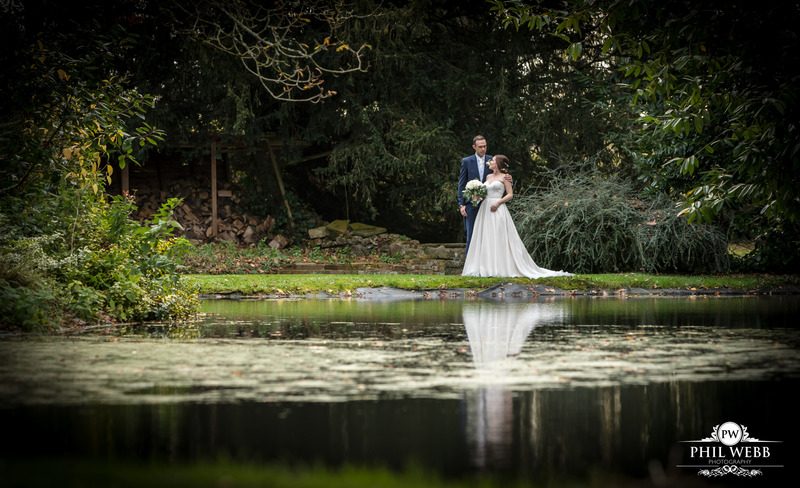 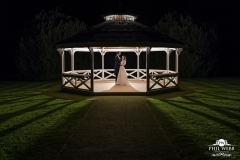 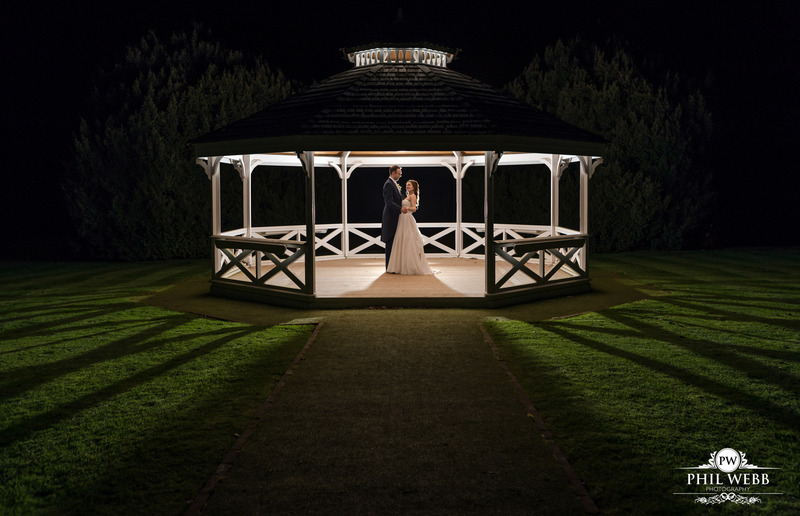 The beauty of being a wedding photographer in the Cotswolds is the array of stunning venues and locations. 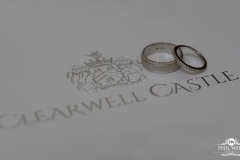 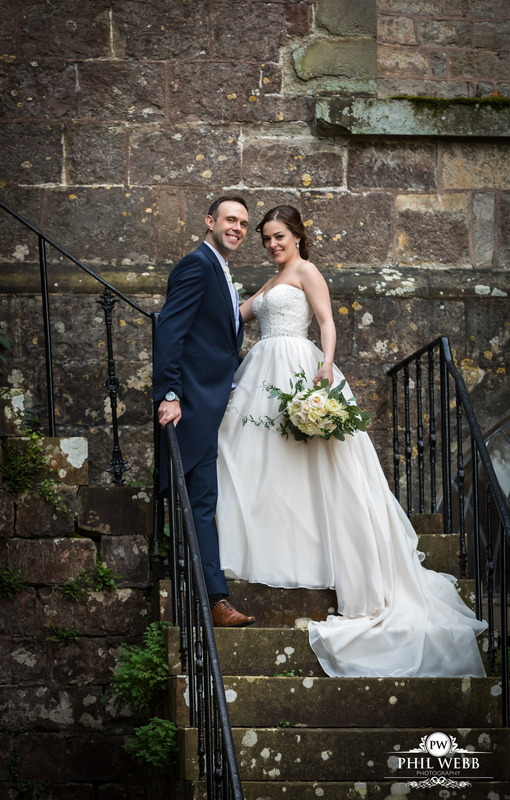 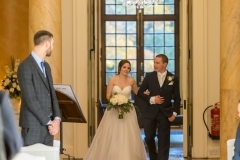 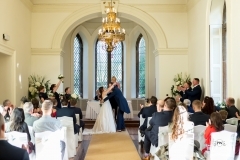 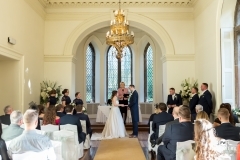 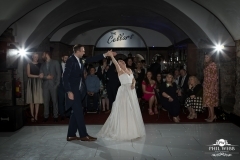 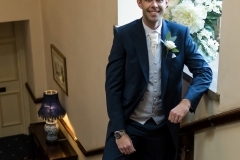 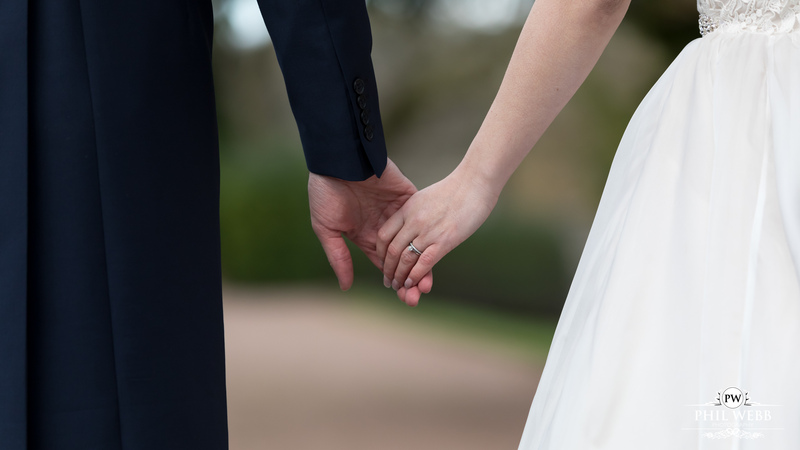 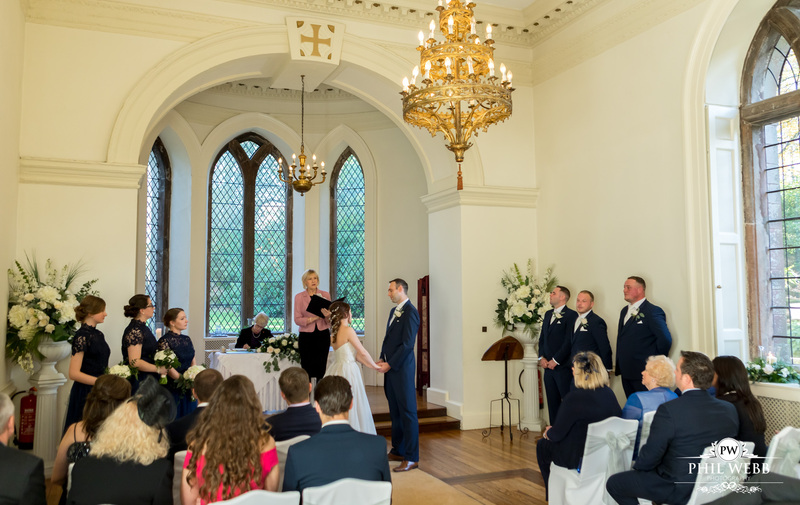 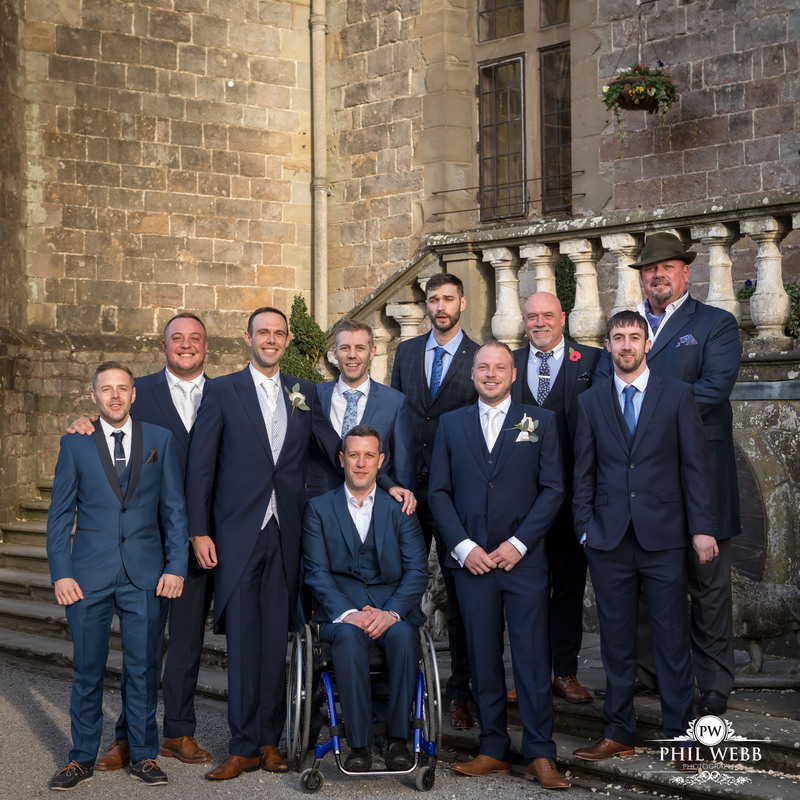 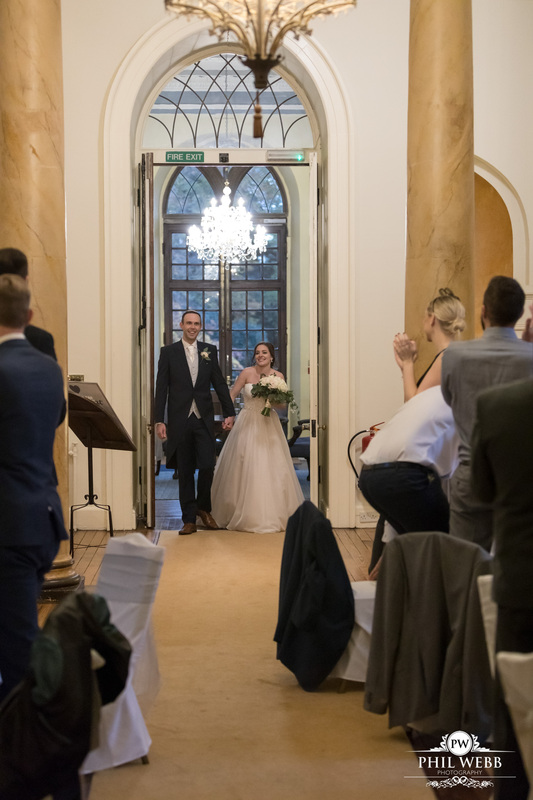 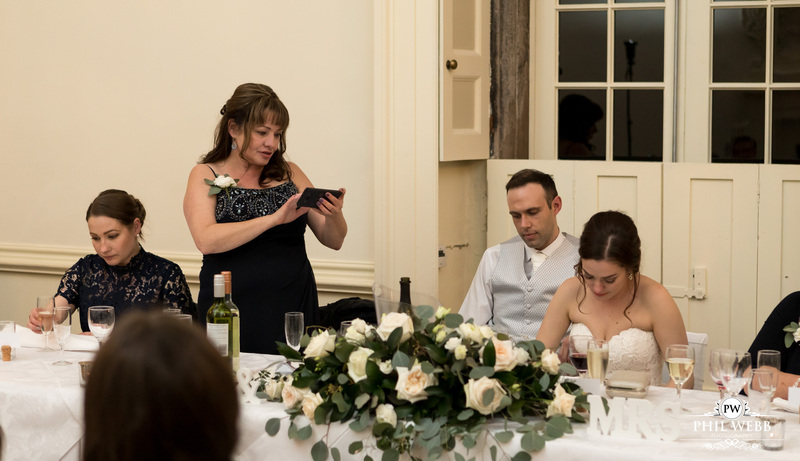 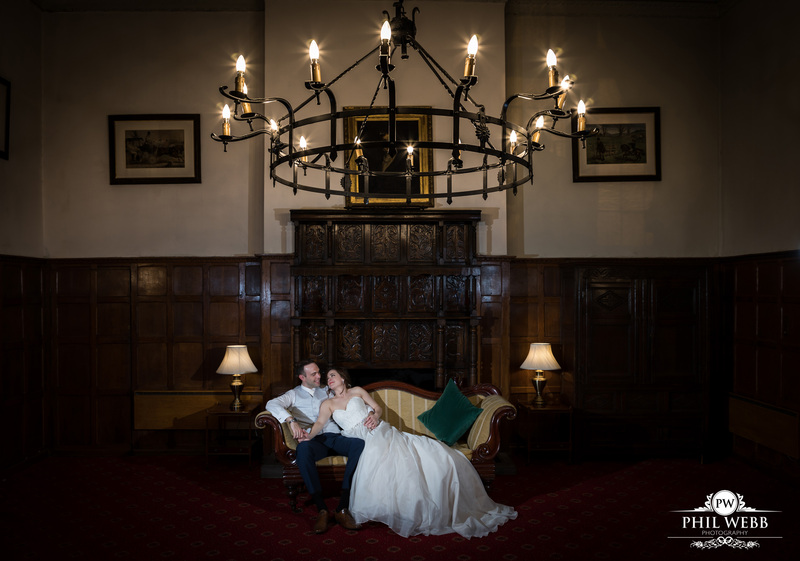 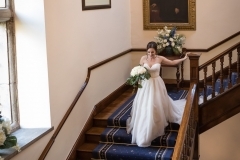 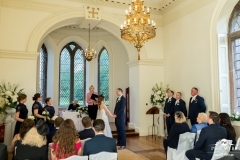 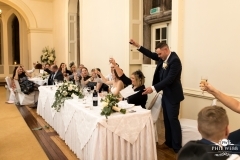 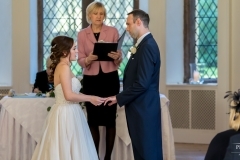 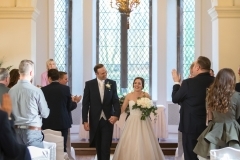 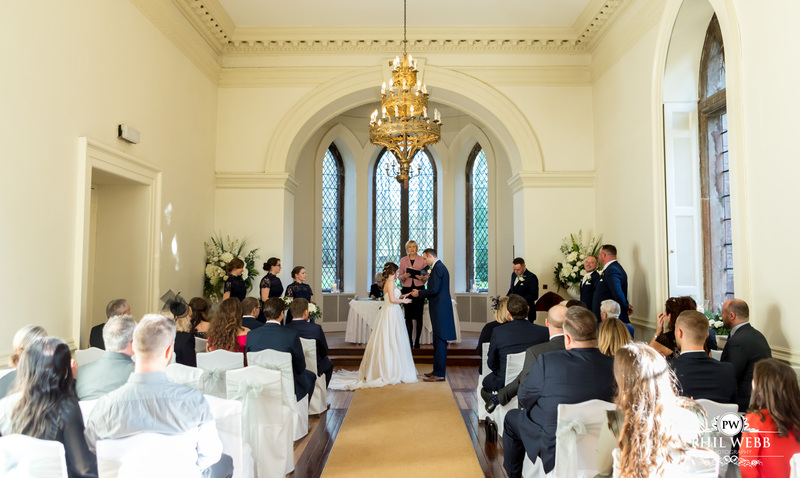 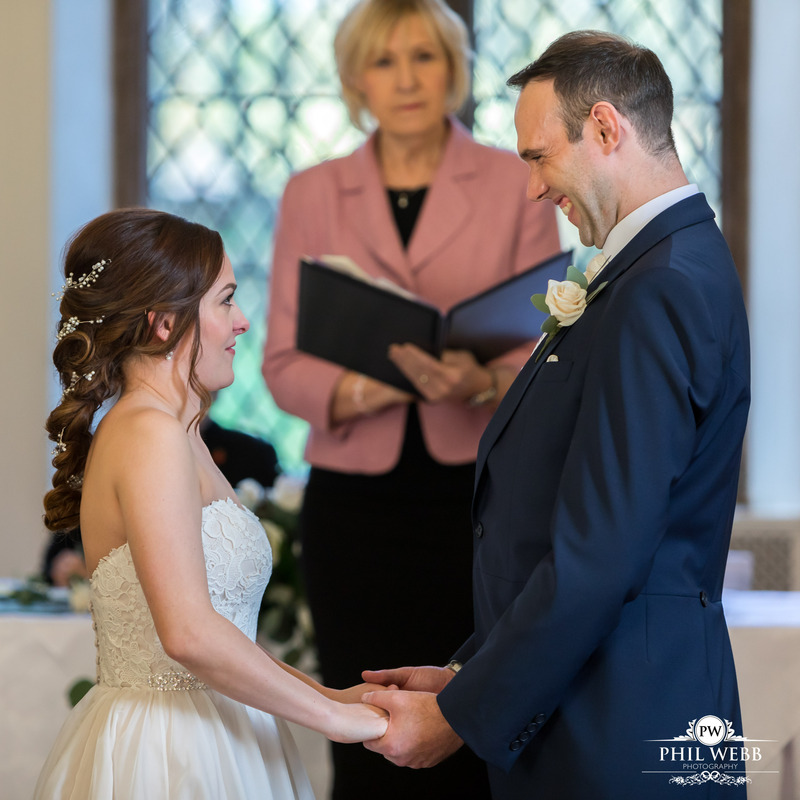 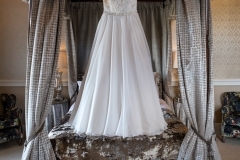 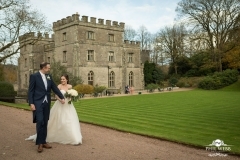 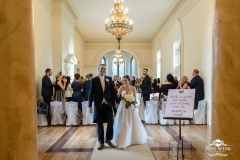 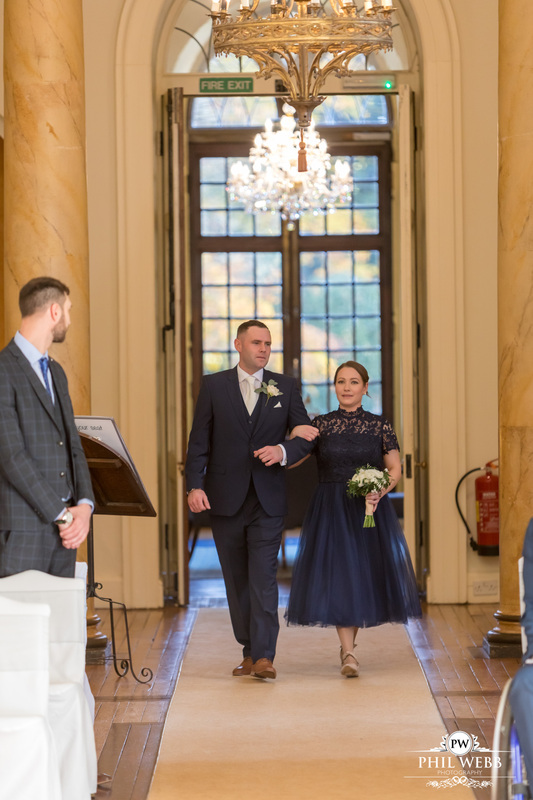 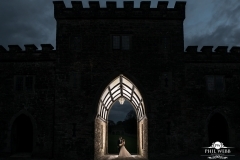 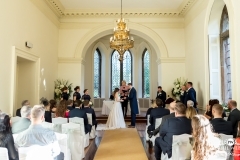 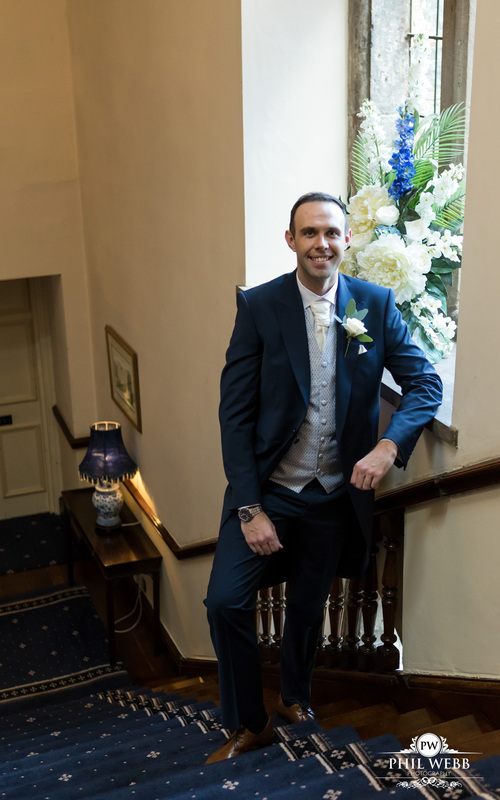 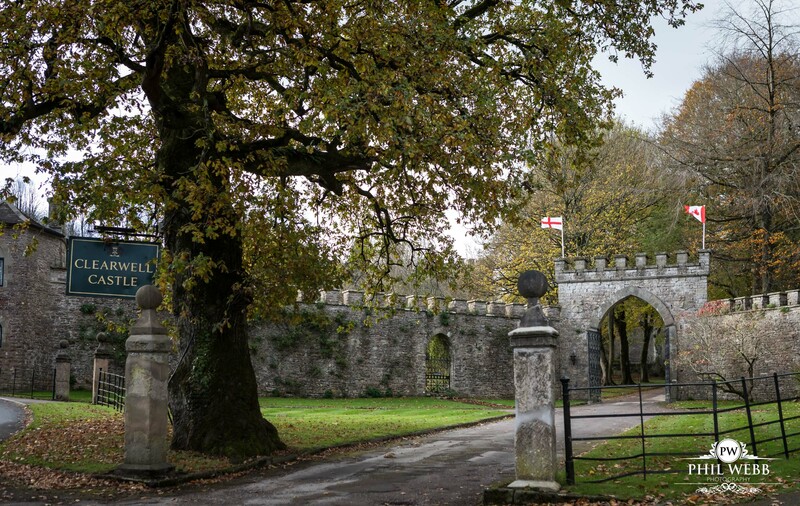 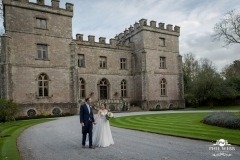 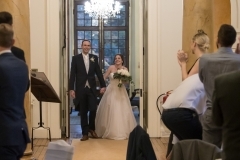 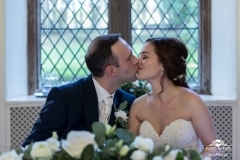 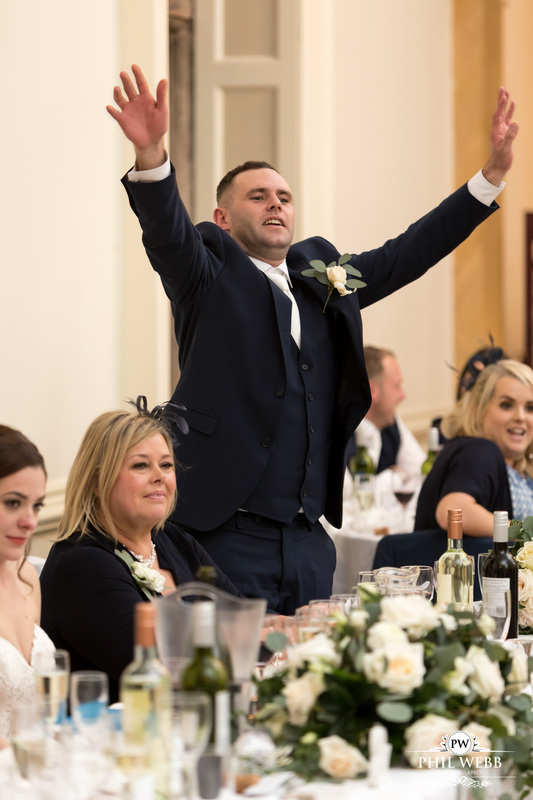 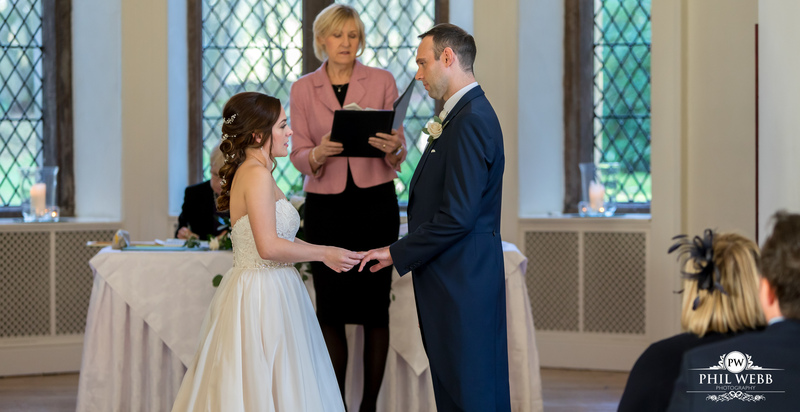 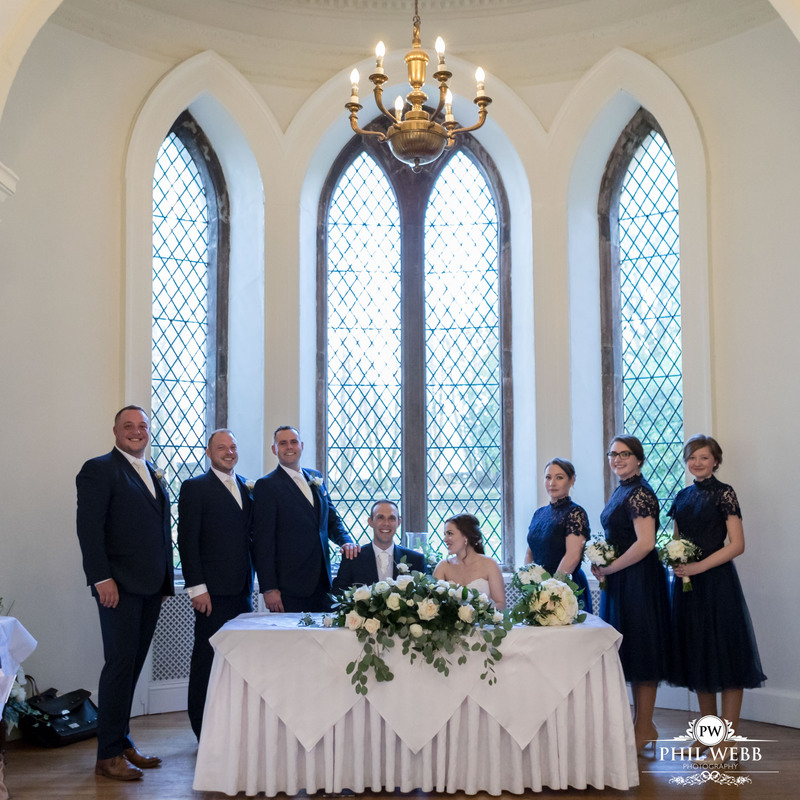 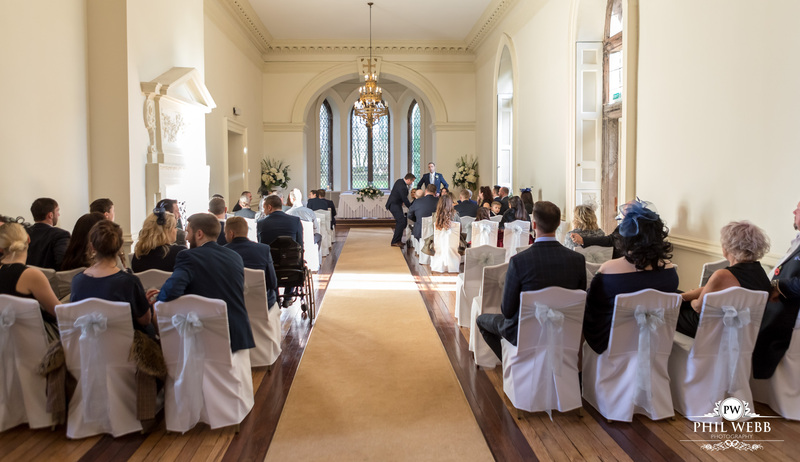 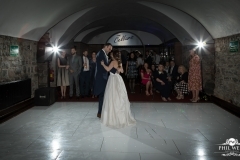 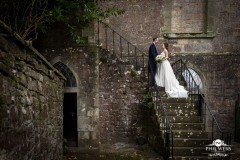 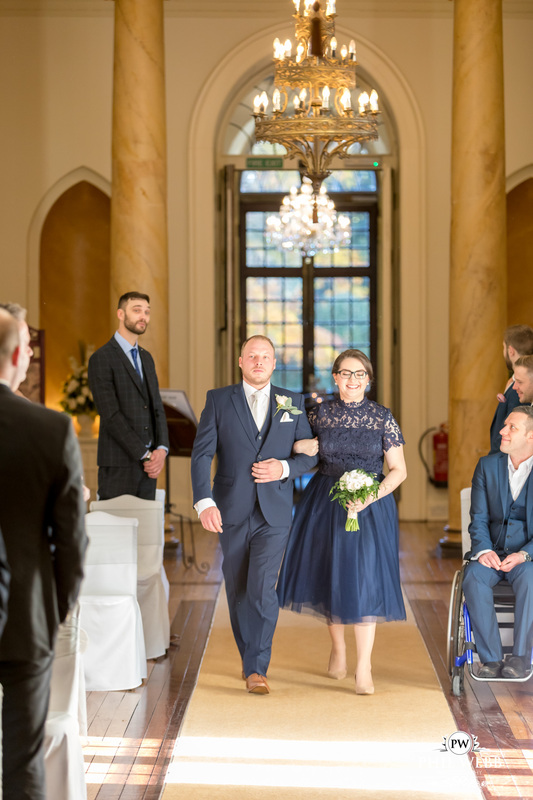 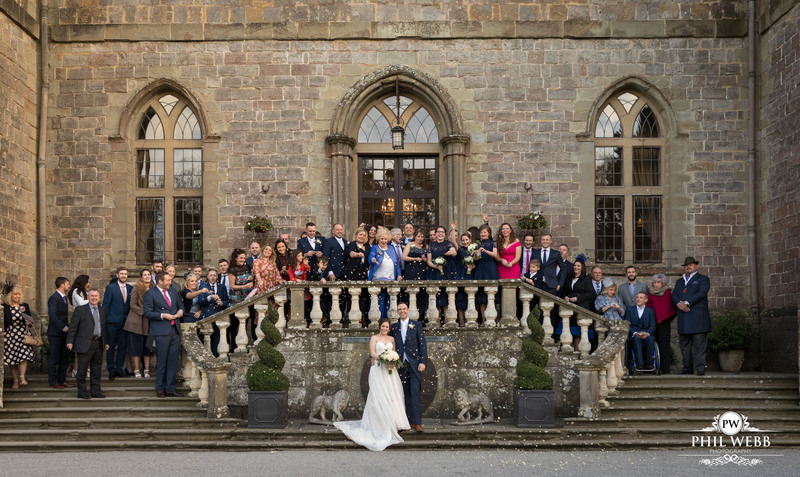 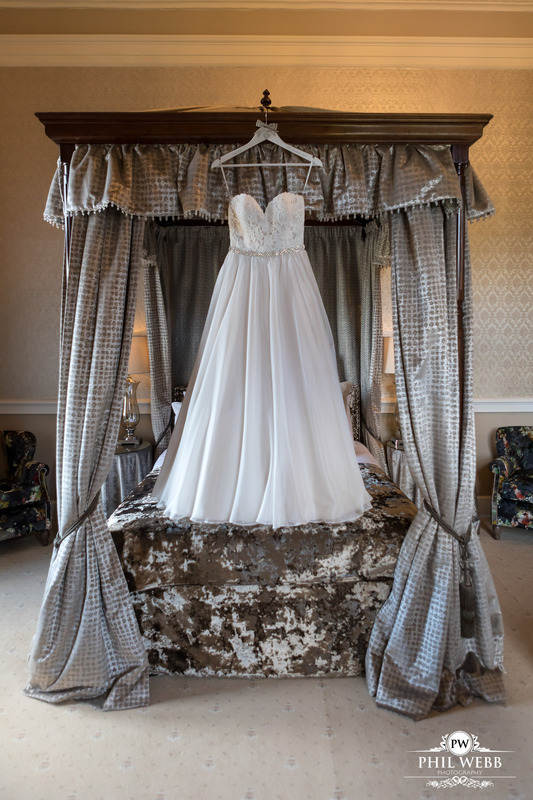 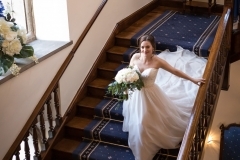 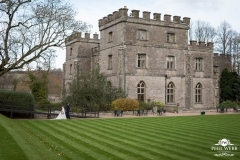 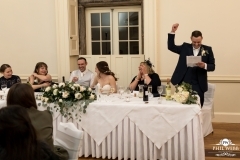 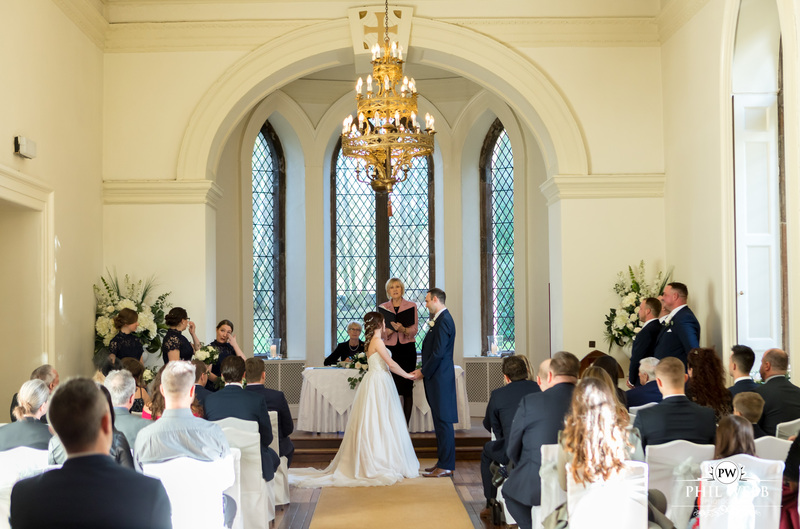 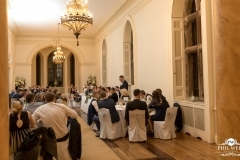 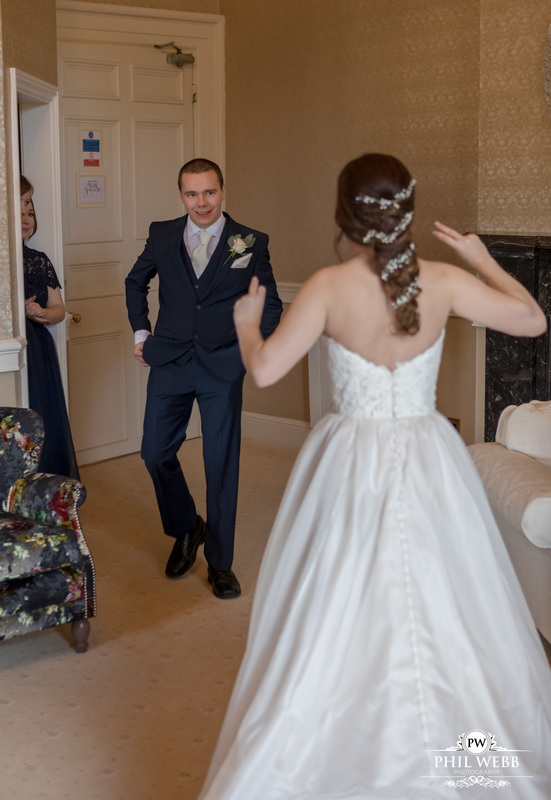 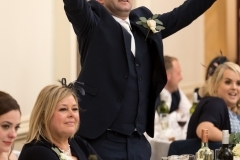 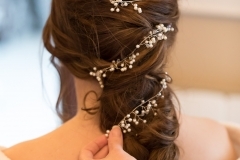 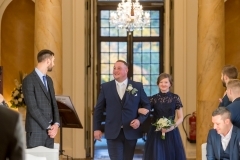 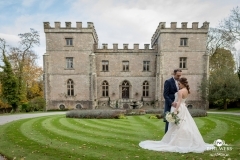 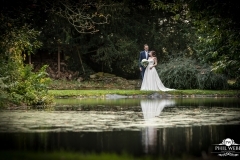 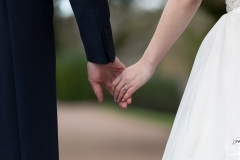 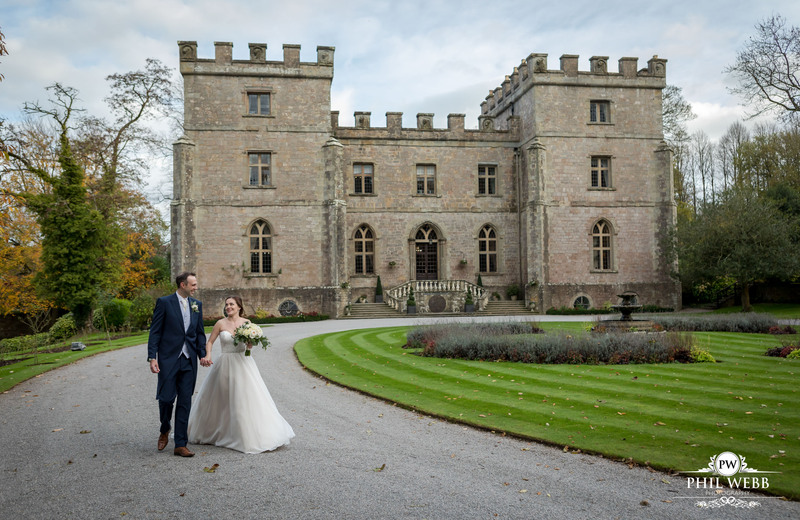 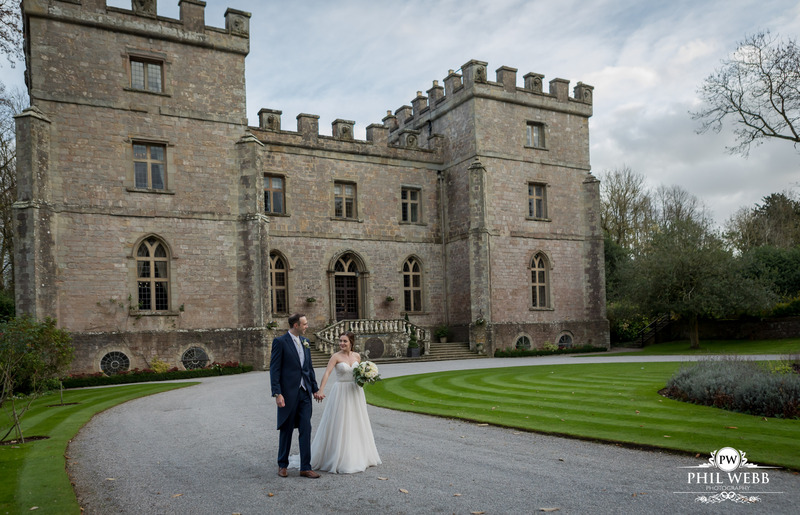 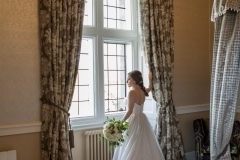 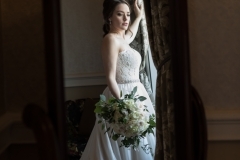 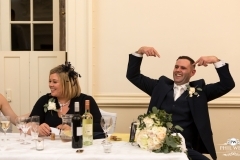 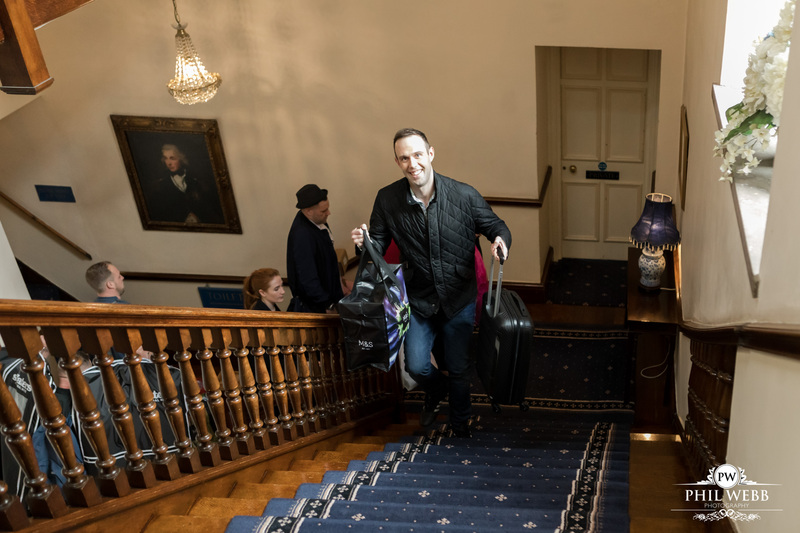 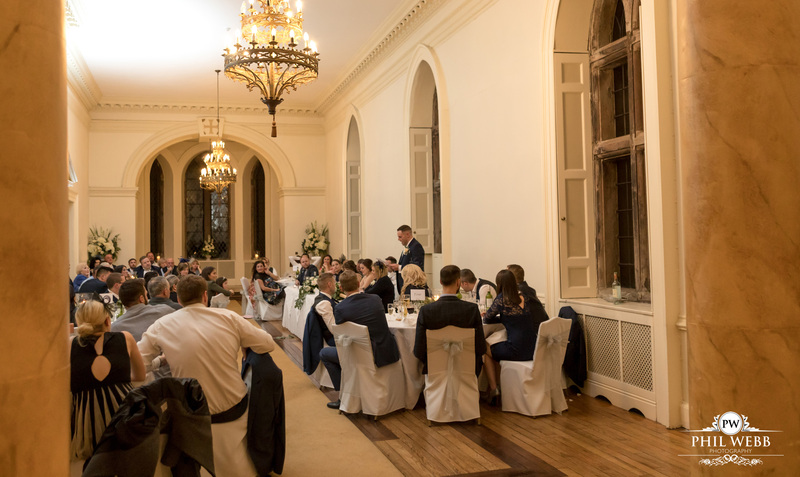 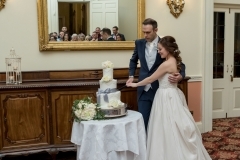 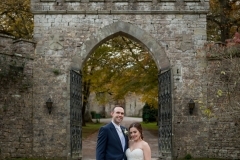 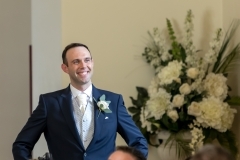 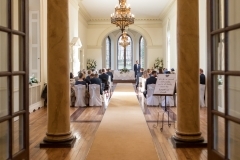 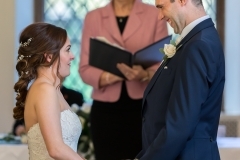 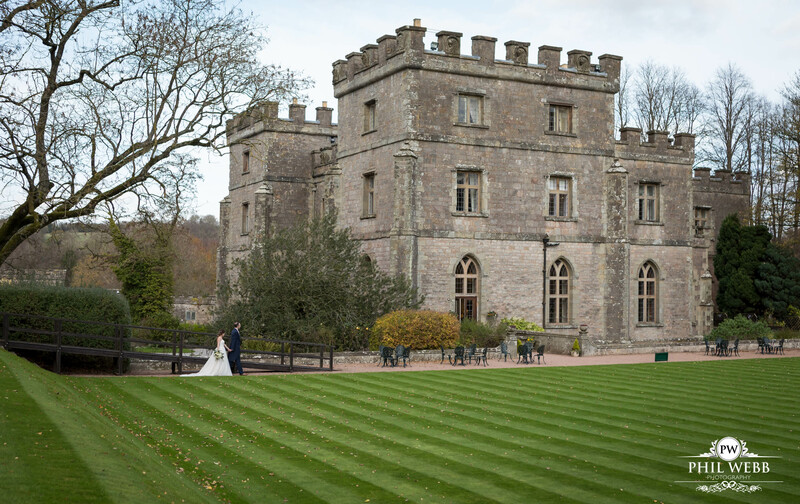 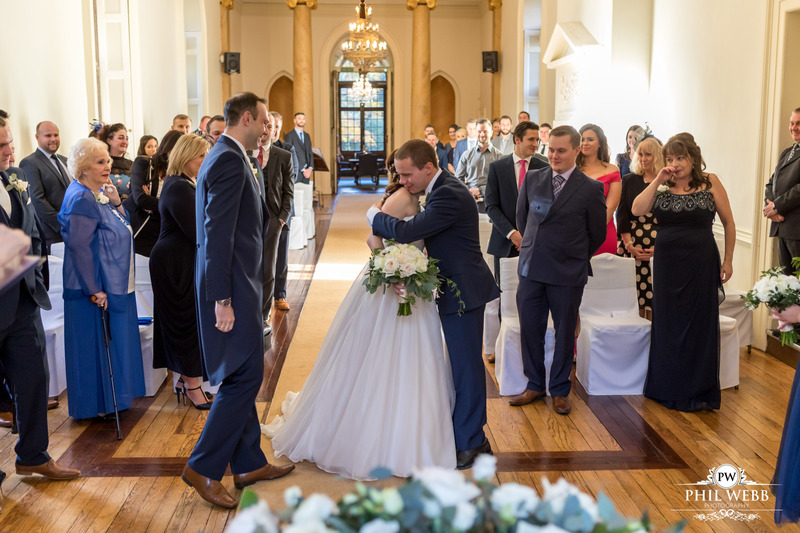 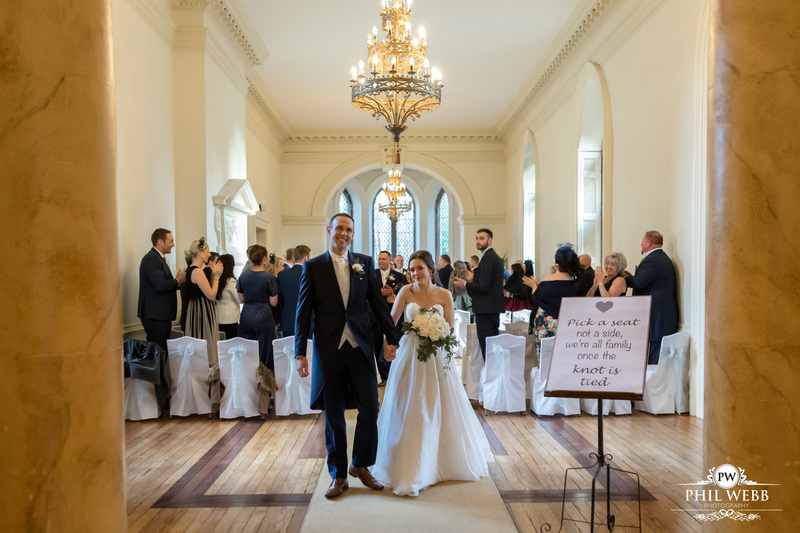 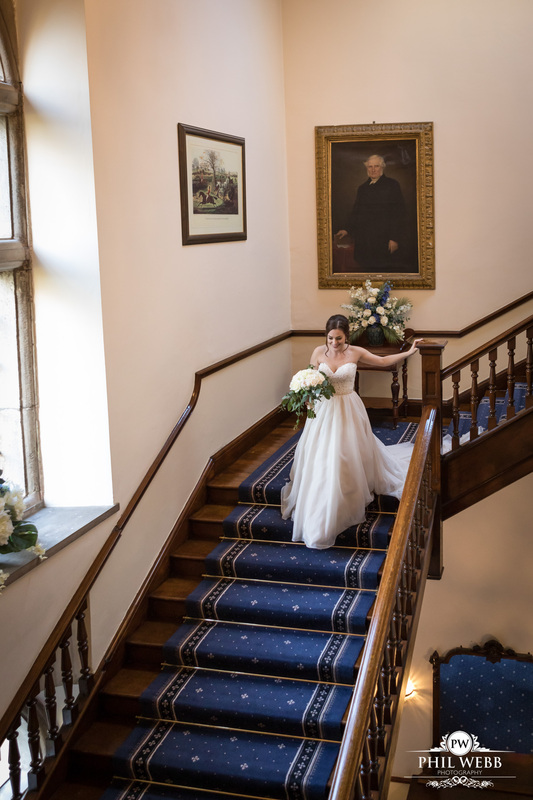 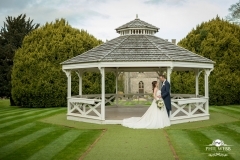 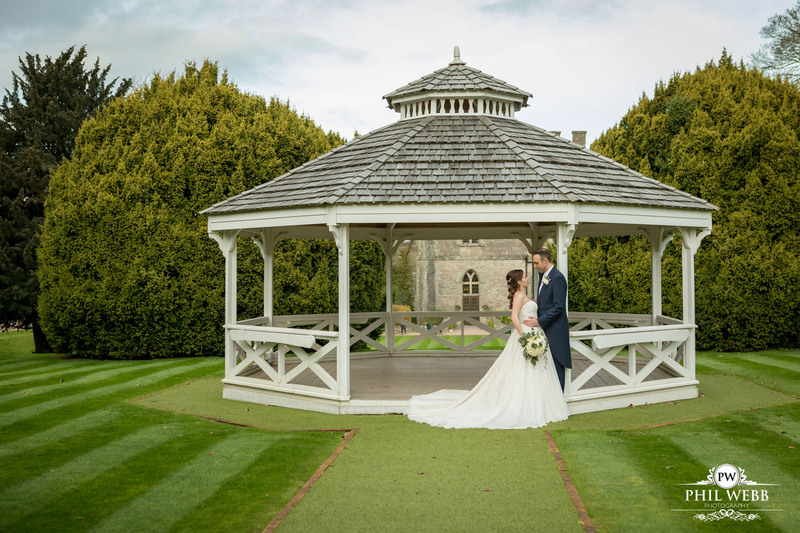 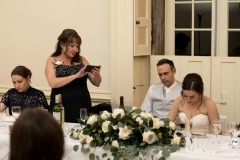 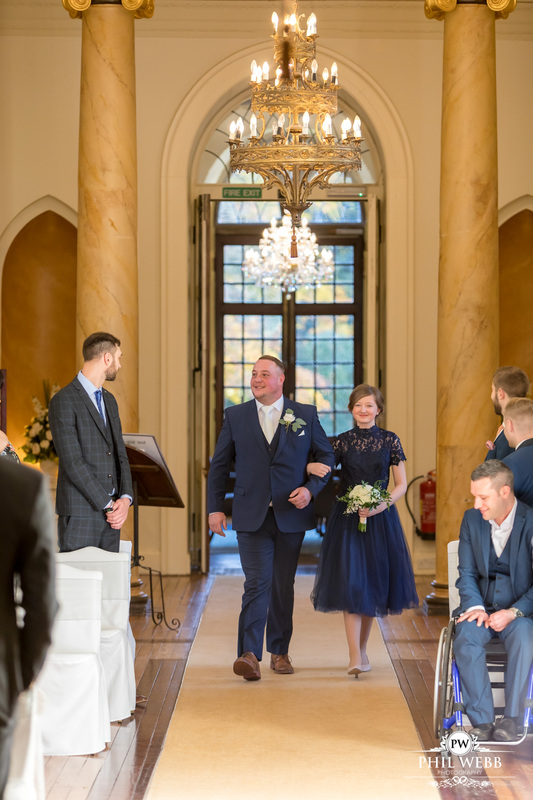 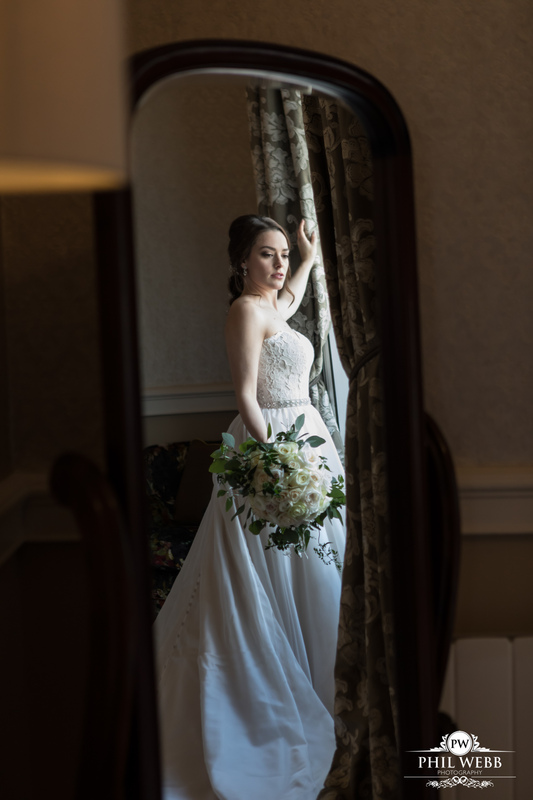 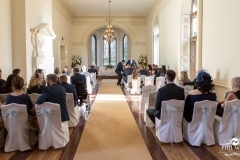 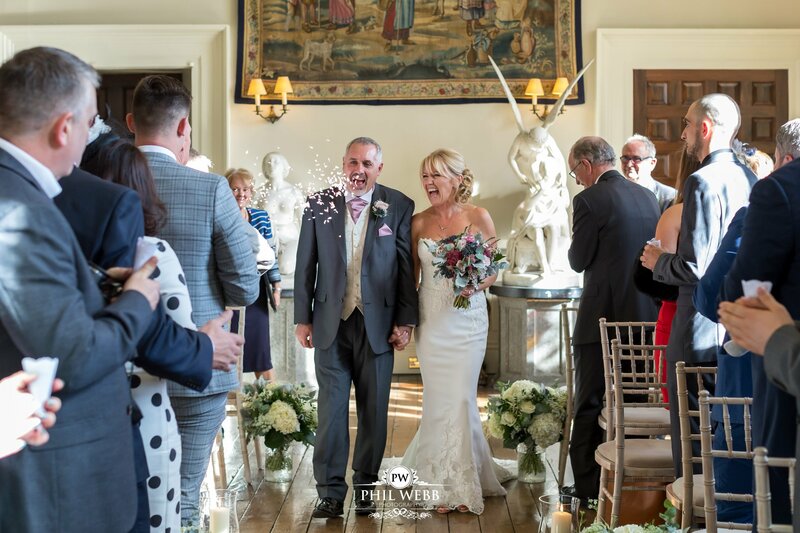 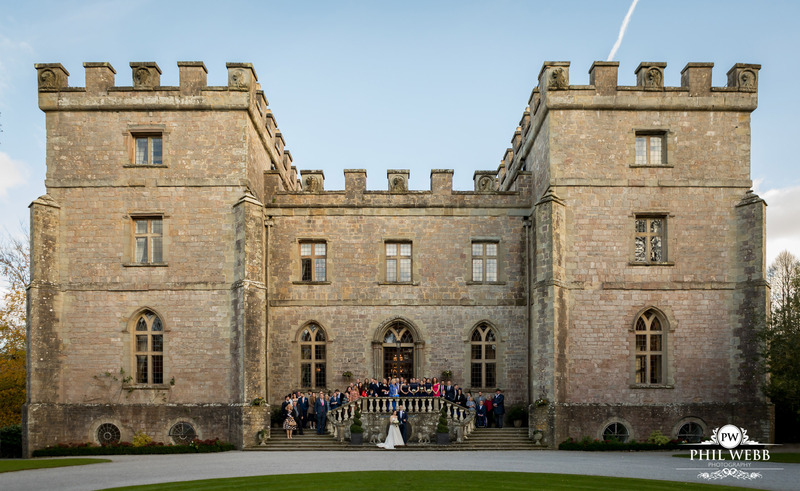 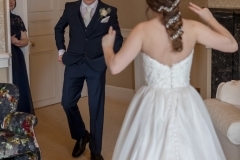 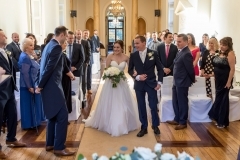 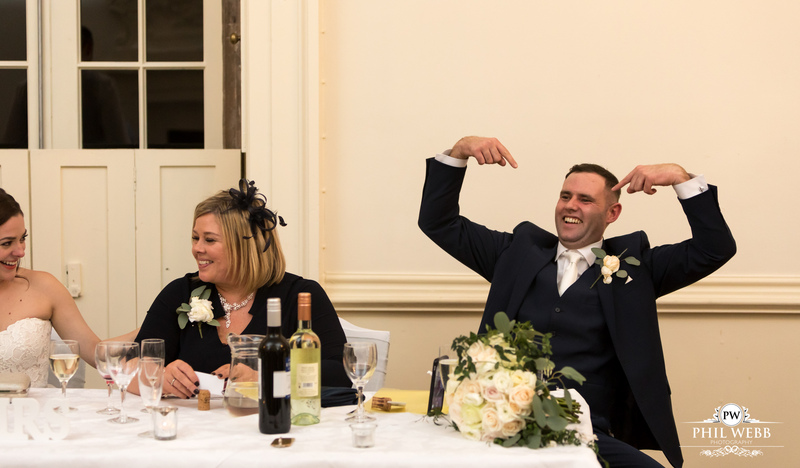 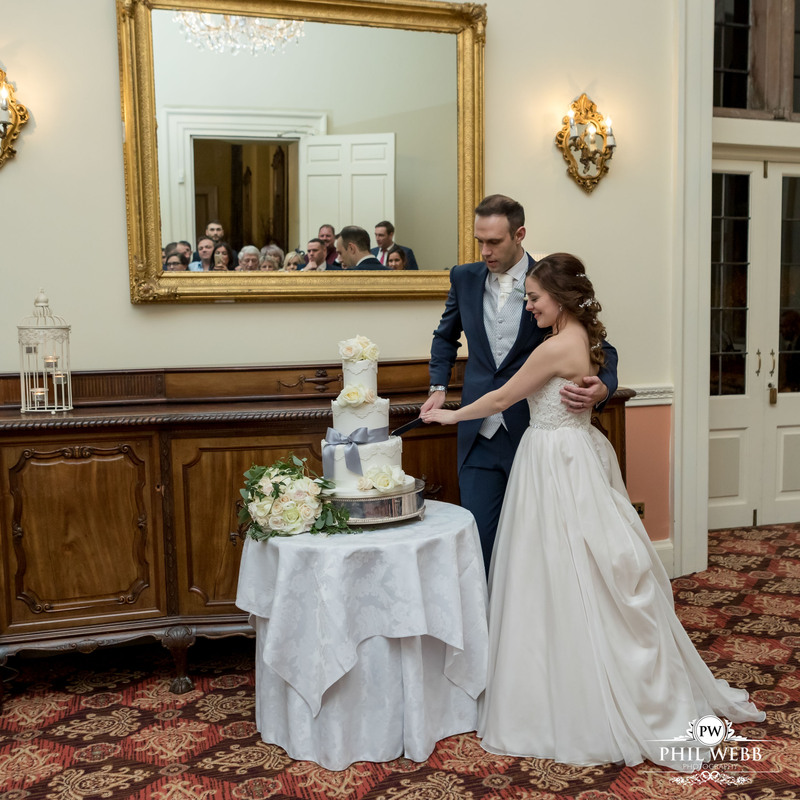 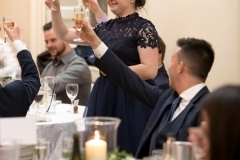 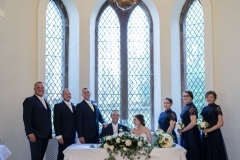 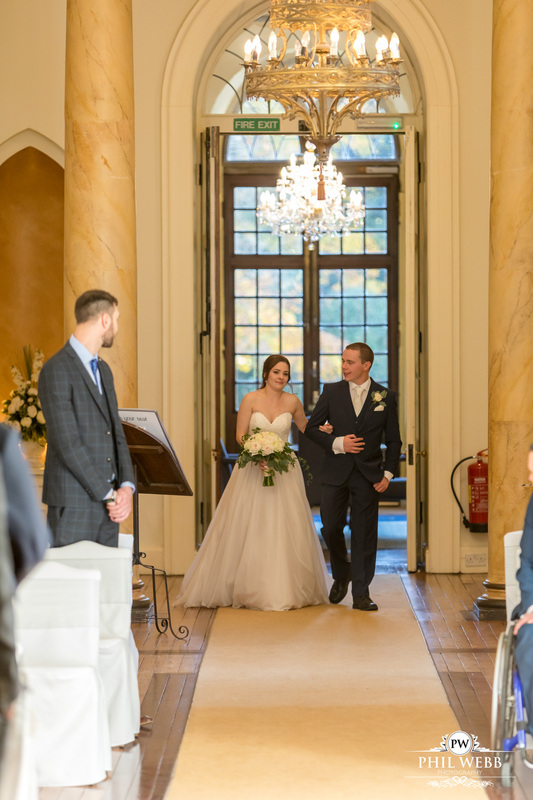 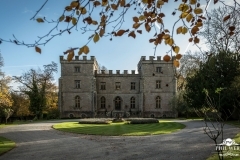 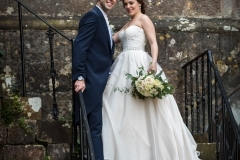 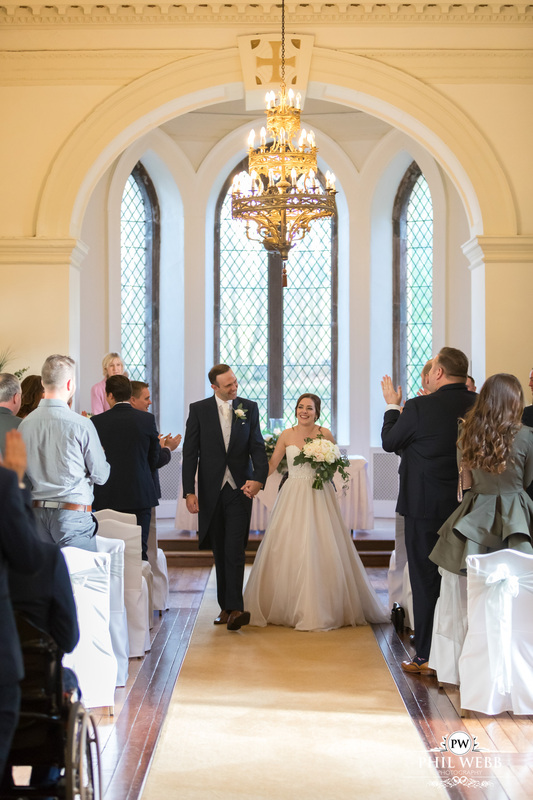 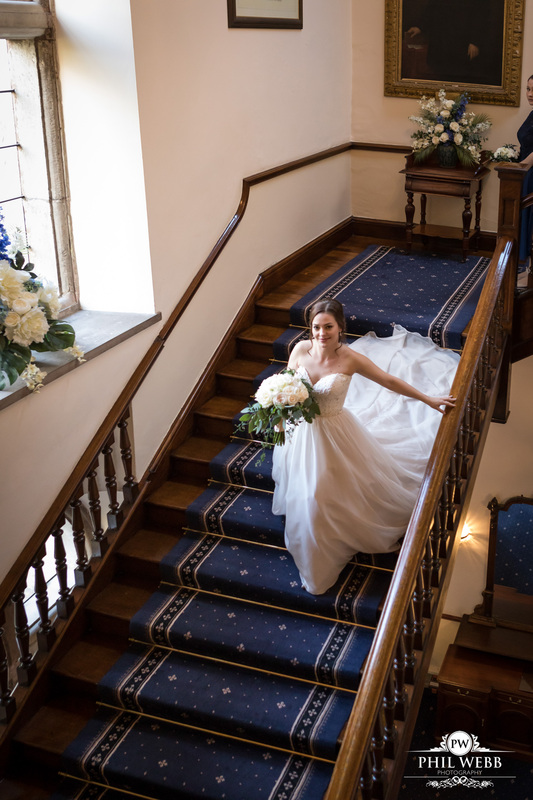 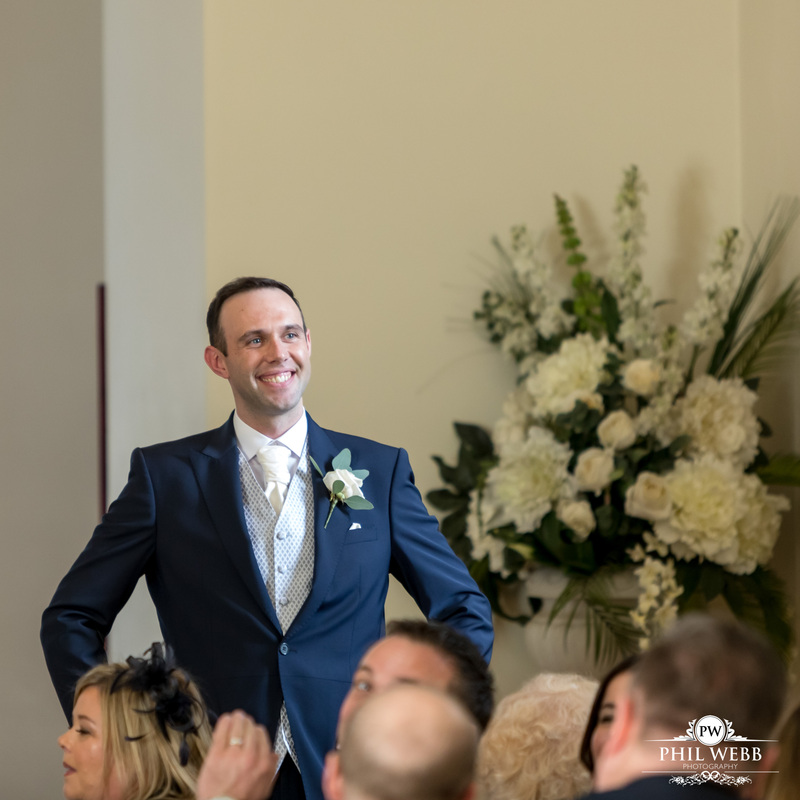 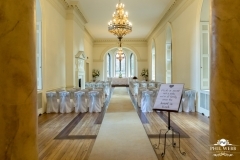 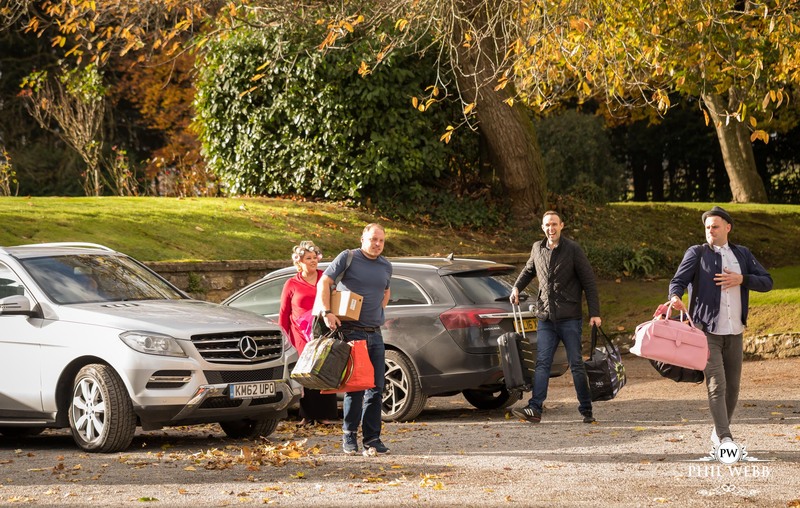 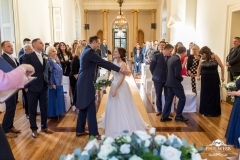 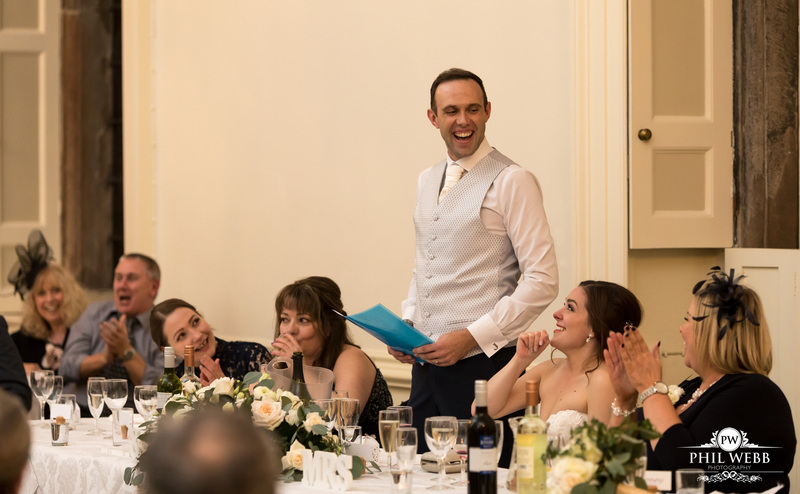 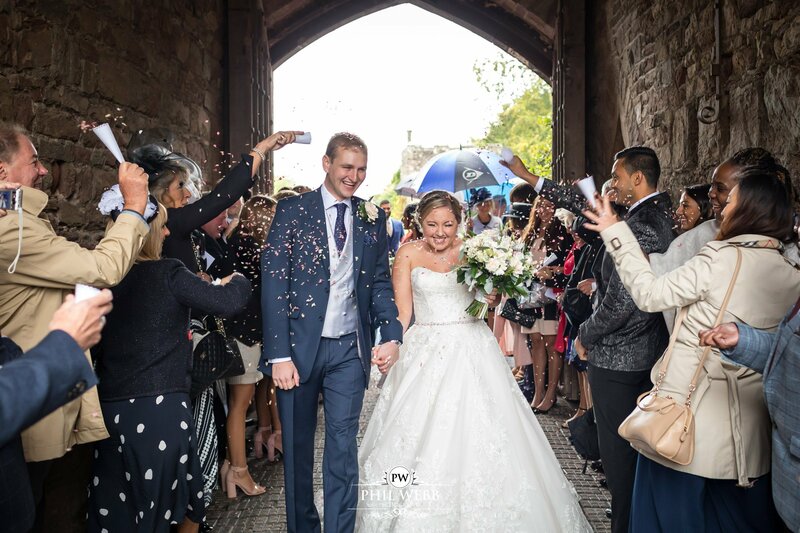 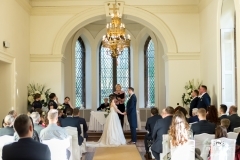 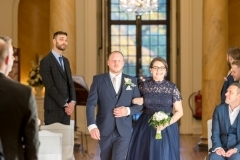 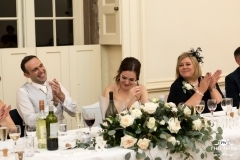 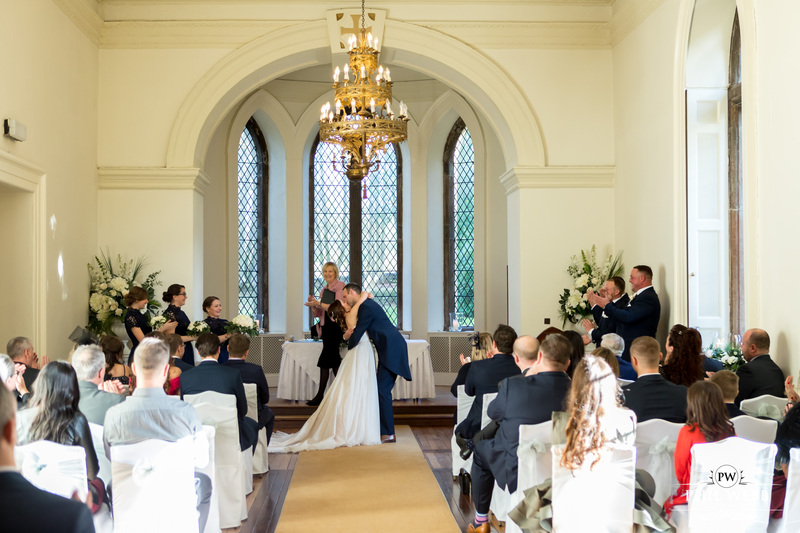 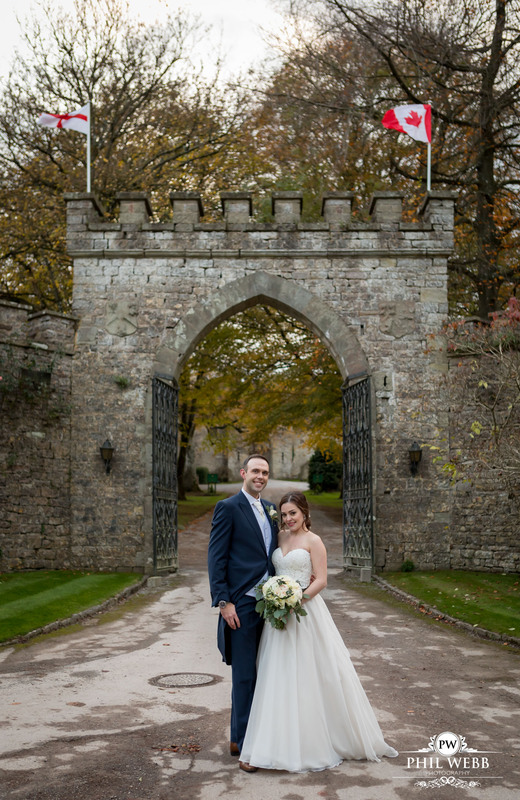 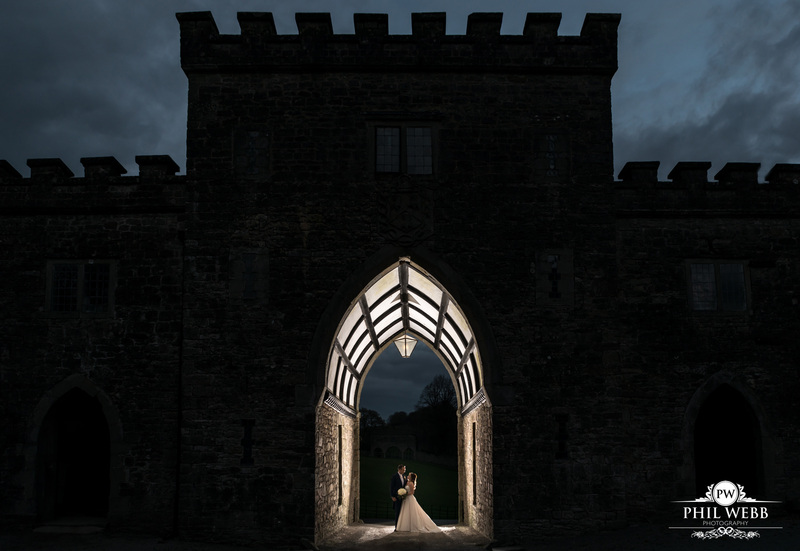 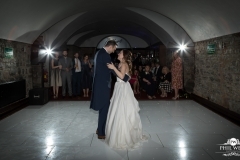 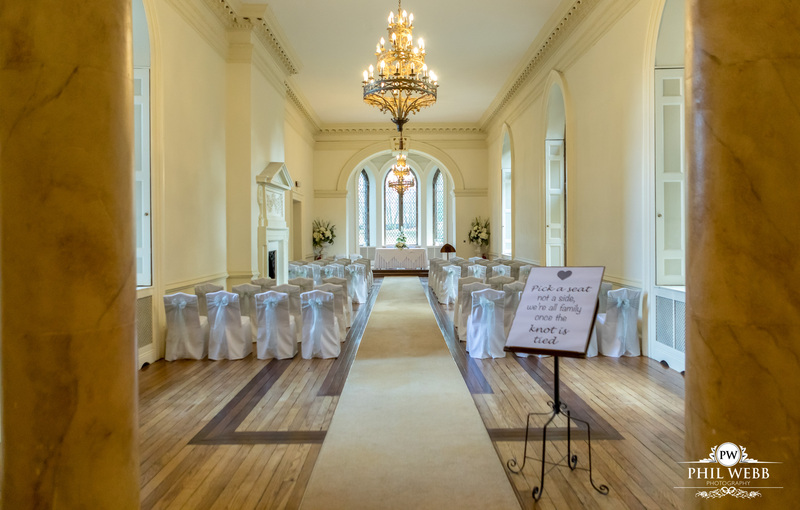 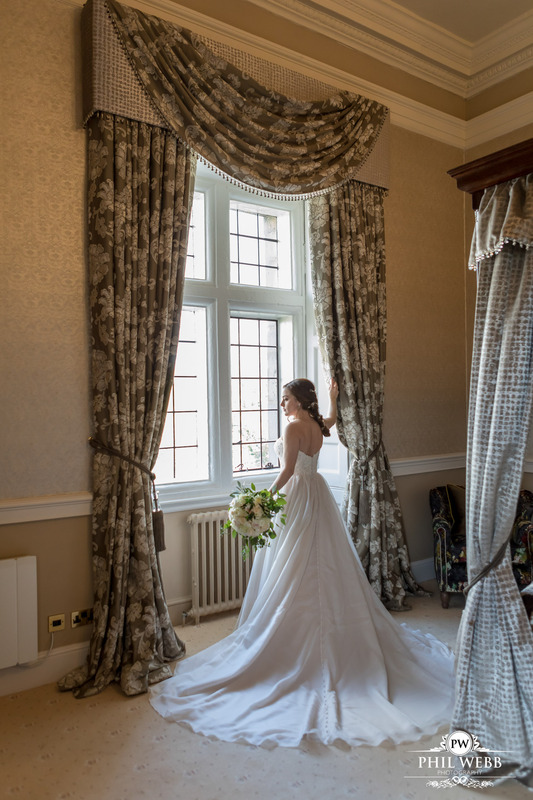 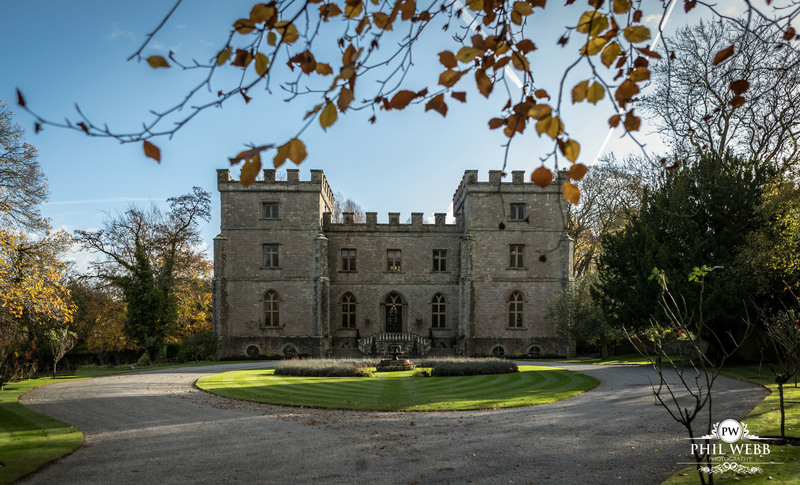 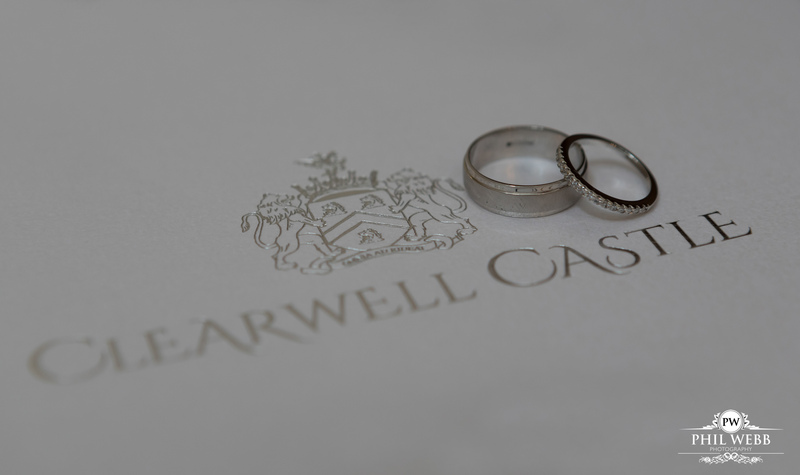 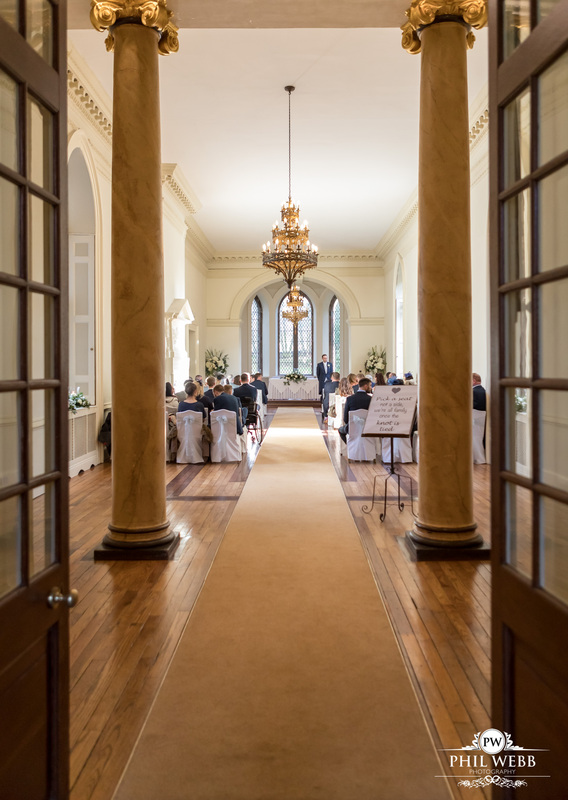 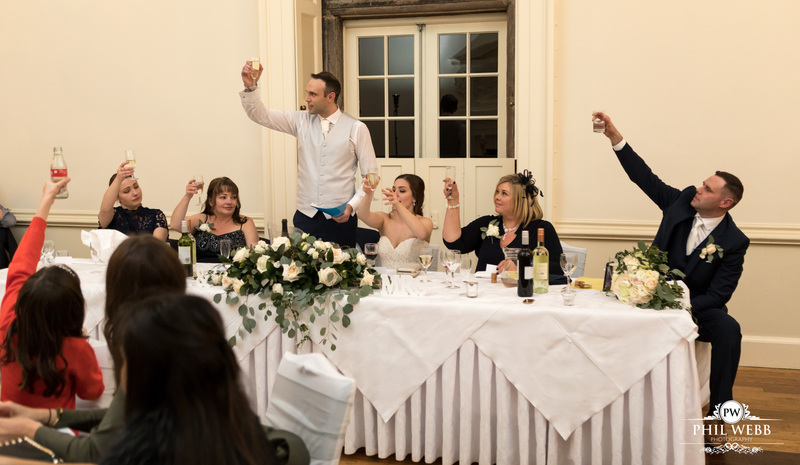 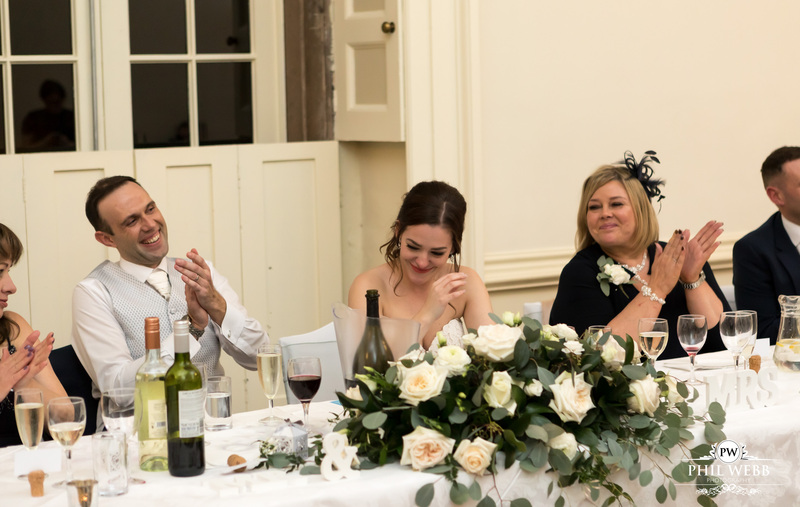 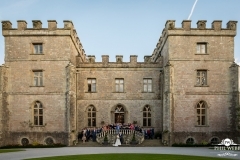 Angelina and James chose the majestic splendour of Clearwell Castle in the Forest of Dean. 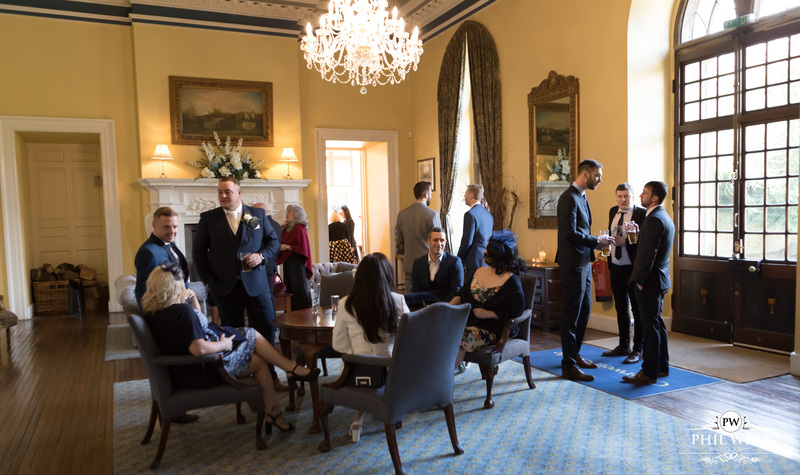 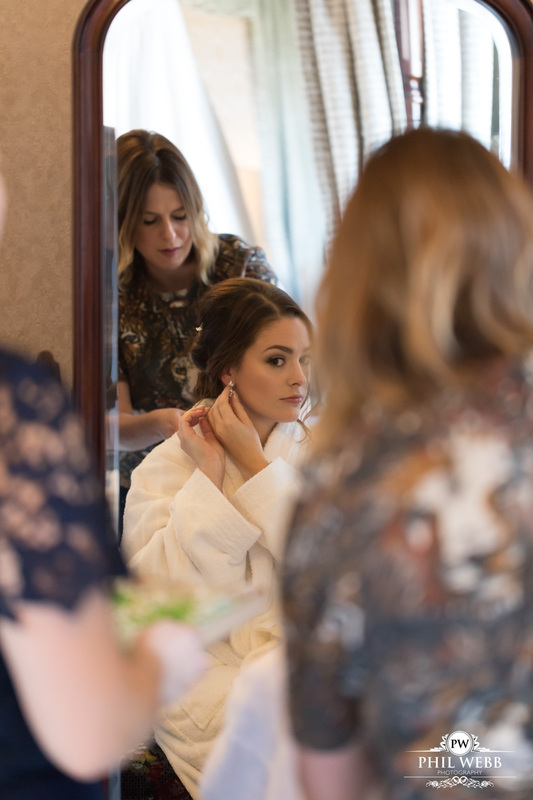 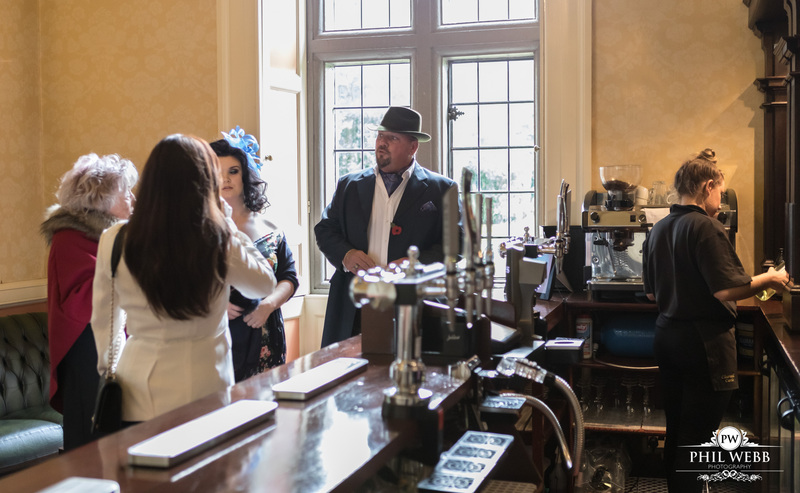 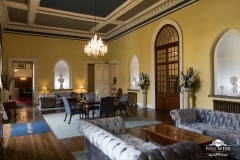 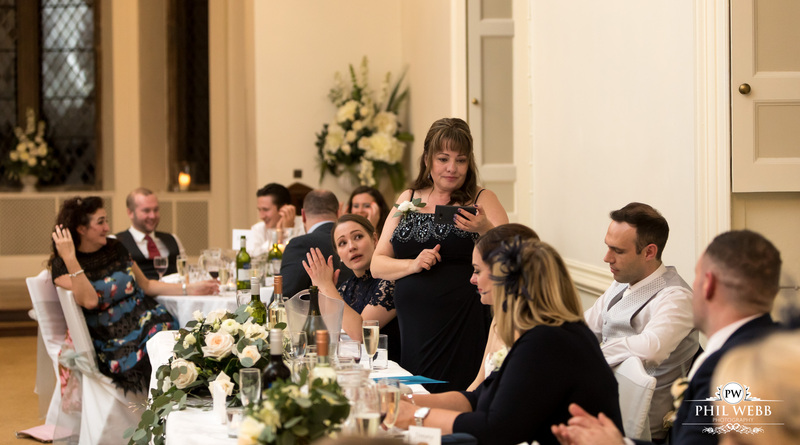 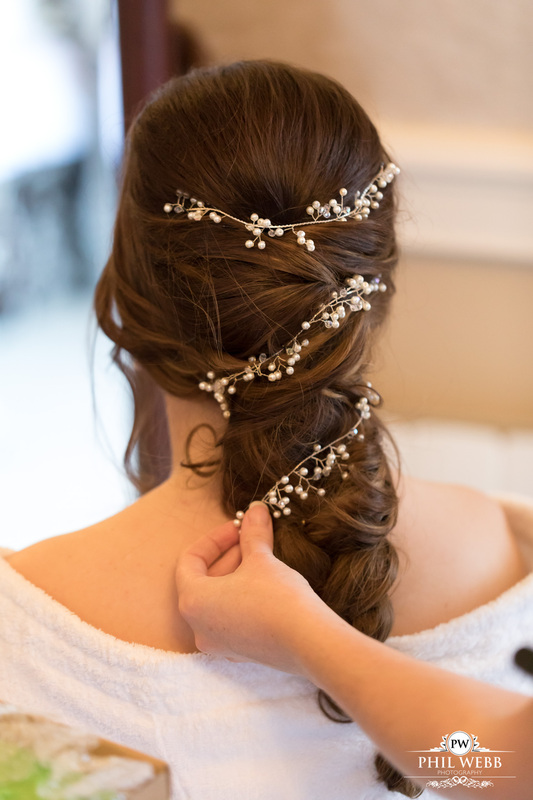 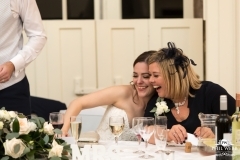 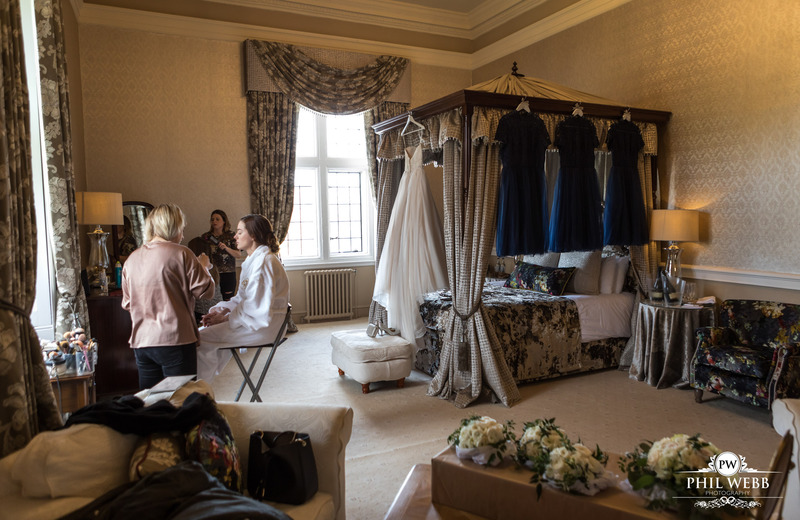 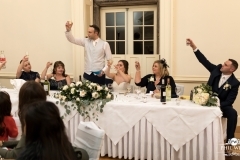 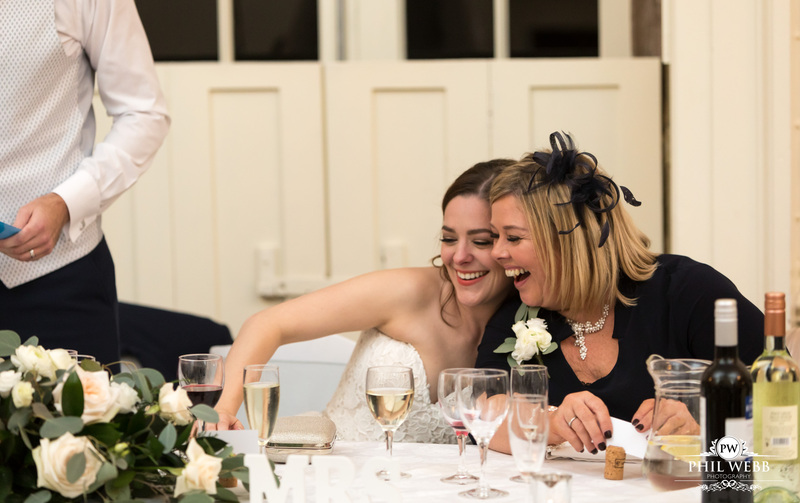 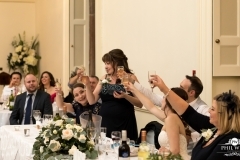 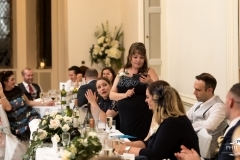 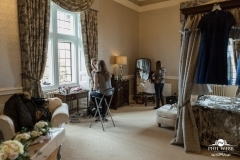 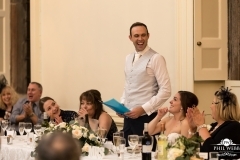 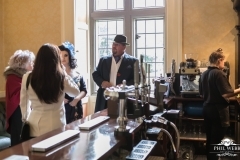 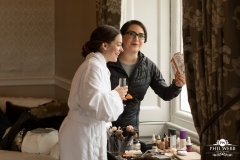 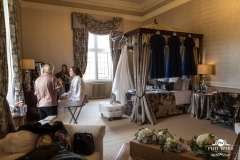 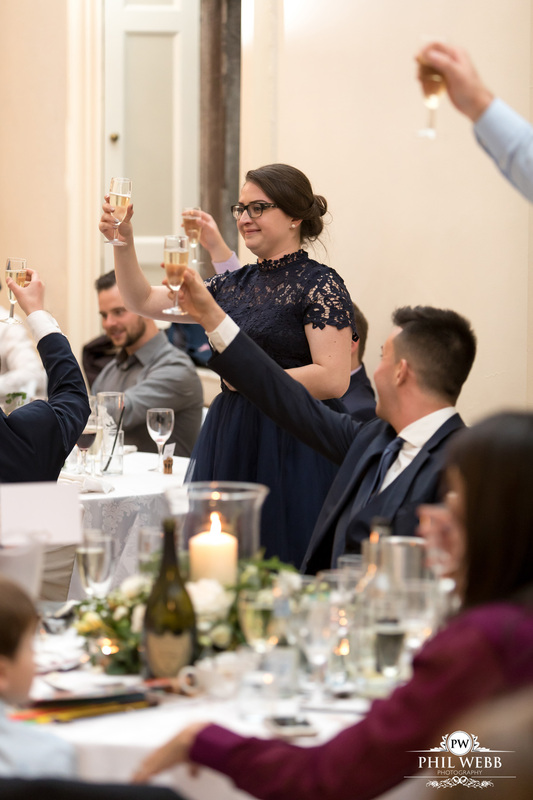 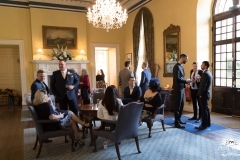 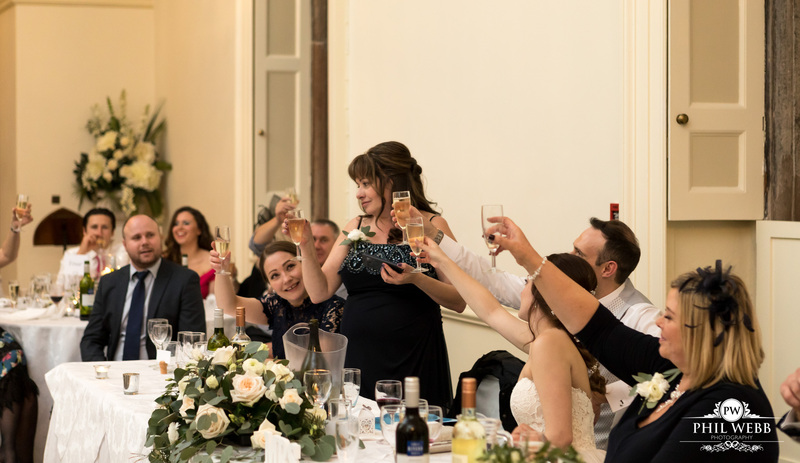 Preparations for Angelina and her bridal party took place at the castle and began with a cool glass of Prosecco. 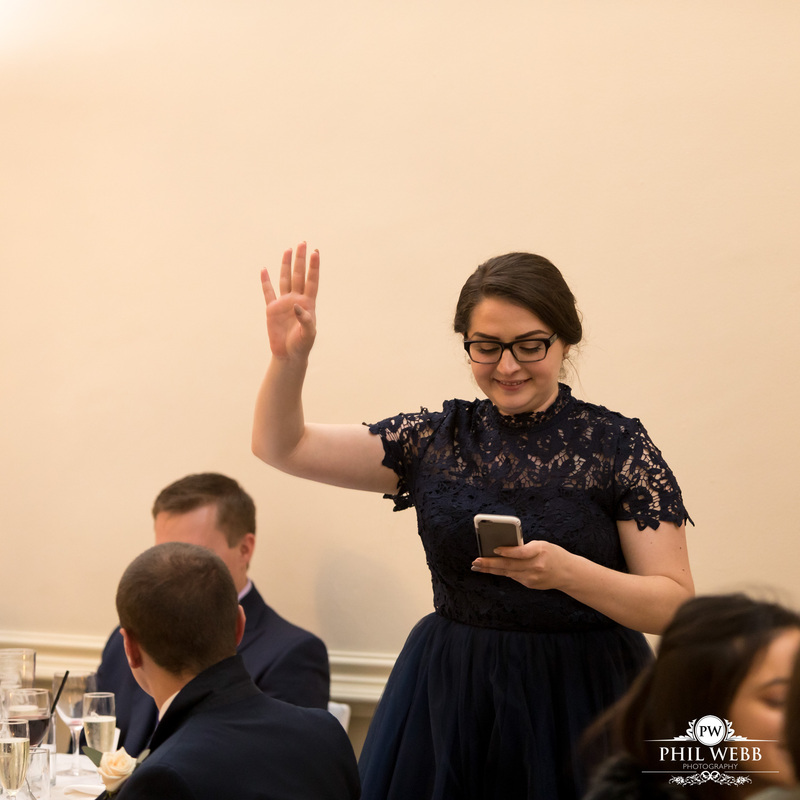 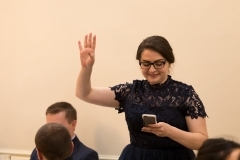 Is there any other way to begin your wedding day? 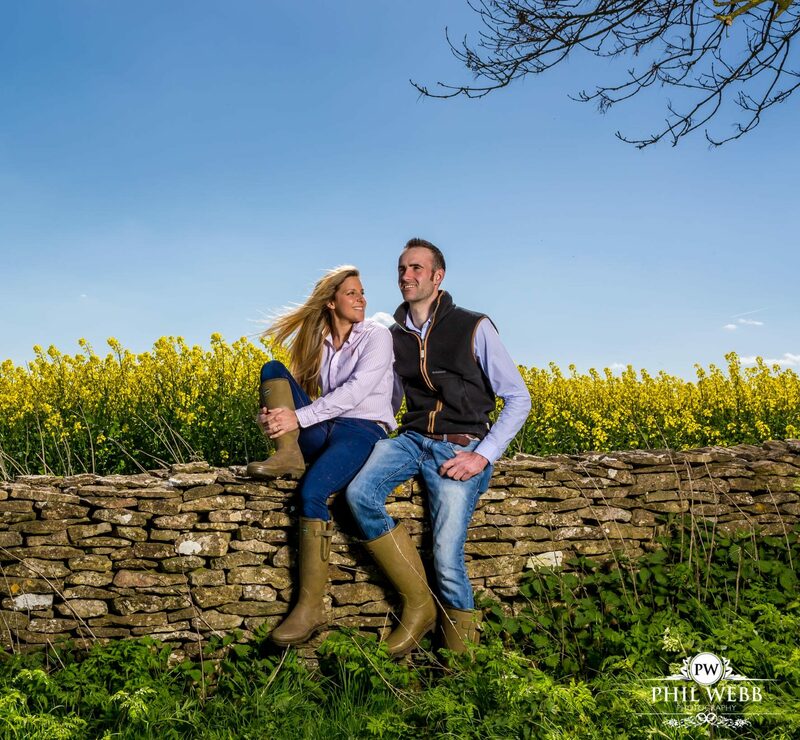 Angelina and James had asked me to start documenting their day from the preparations of the bride and groom, so I enjoyed an early morning drive through this beautiful area on a clear crisp winter’s morning. 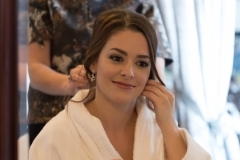 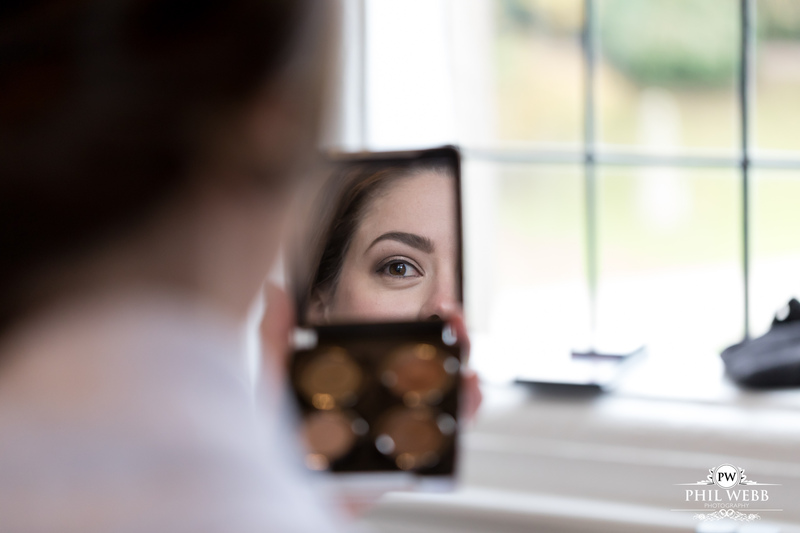 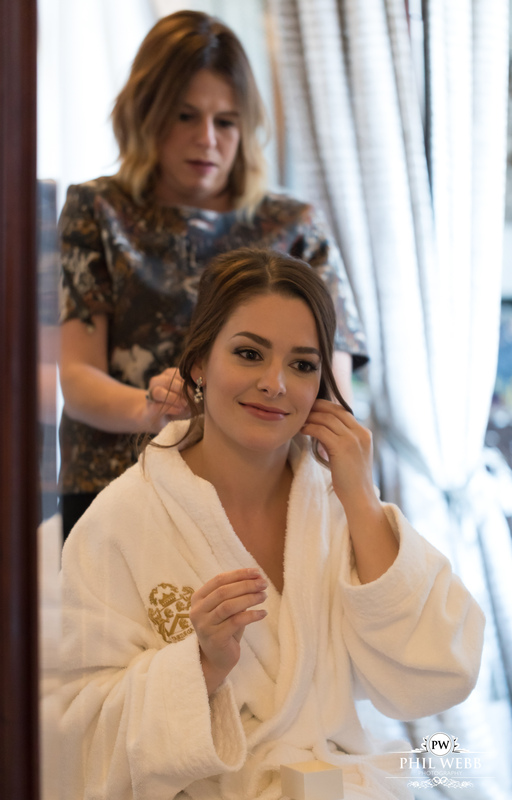 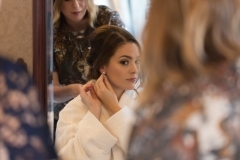 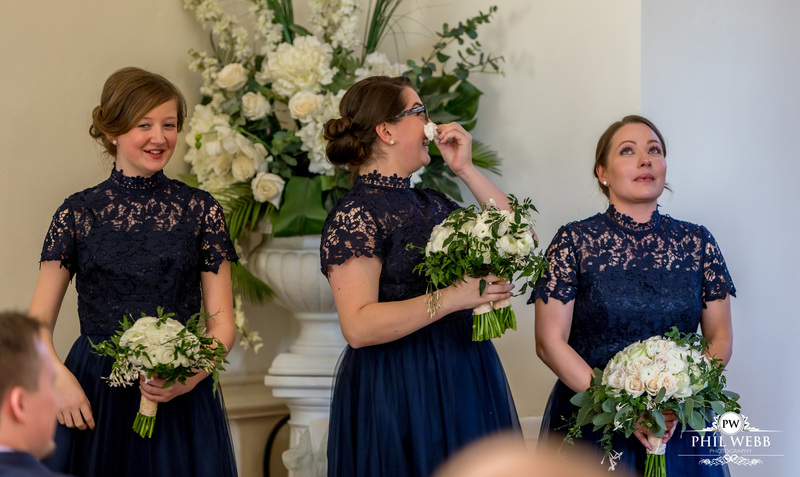 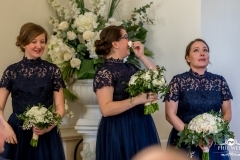 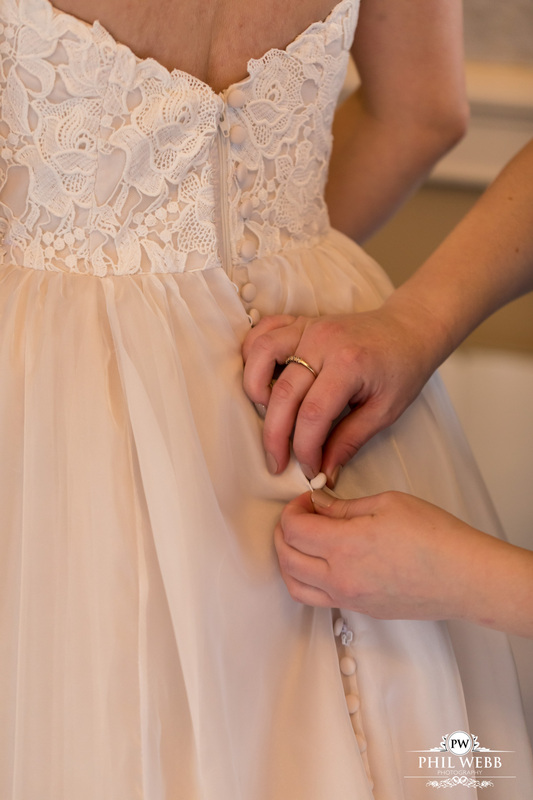 As always my photography of the preparations was unobtrusive capturing the pure emotion of the bride with her closest friends and relations as they got ready for an amazing day. 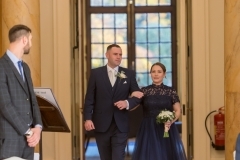 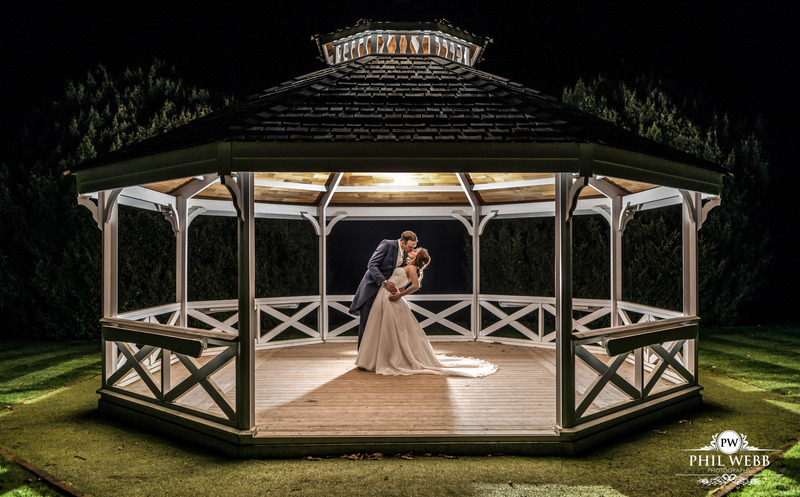 The ceremony was as special as the couple could have hoped, and despite a distinct chill in the November air, we were able to venture out to capture some amazing portraits of Angelina & James. 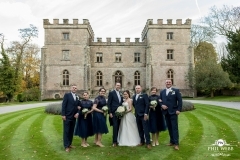 As Angelina is originally from Canada, the winter in Gloucestershire is positively mild! 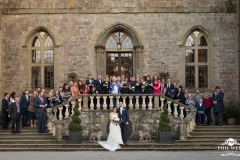 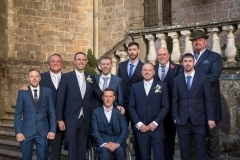 We then completed the formal group pictures and headed in for the wedding breakfast followed by some great speeches. 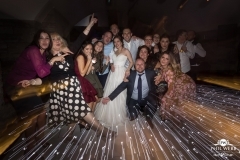 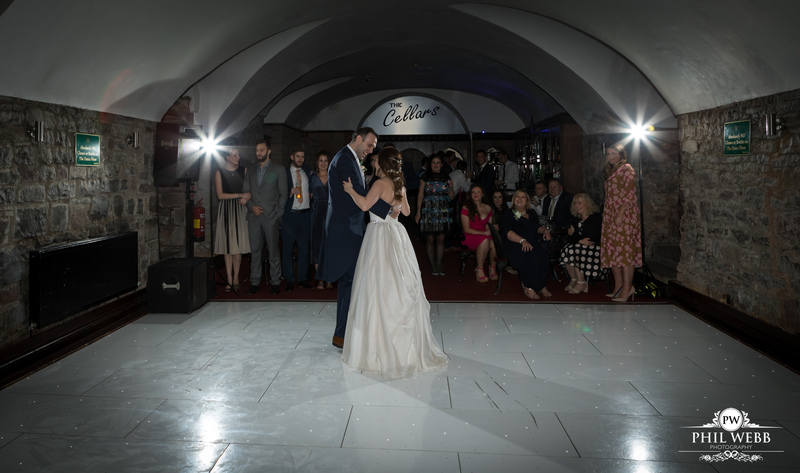 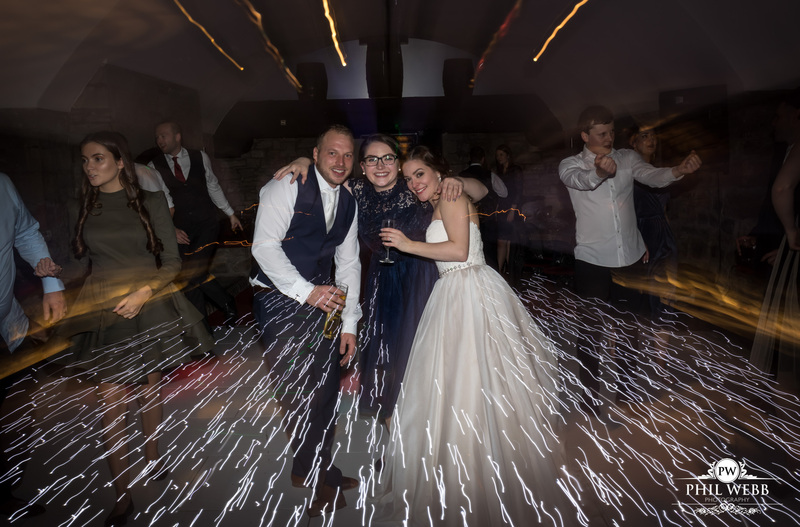 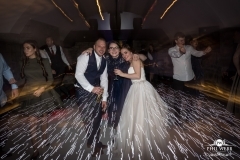 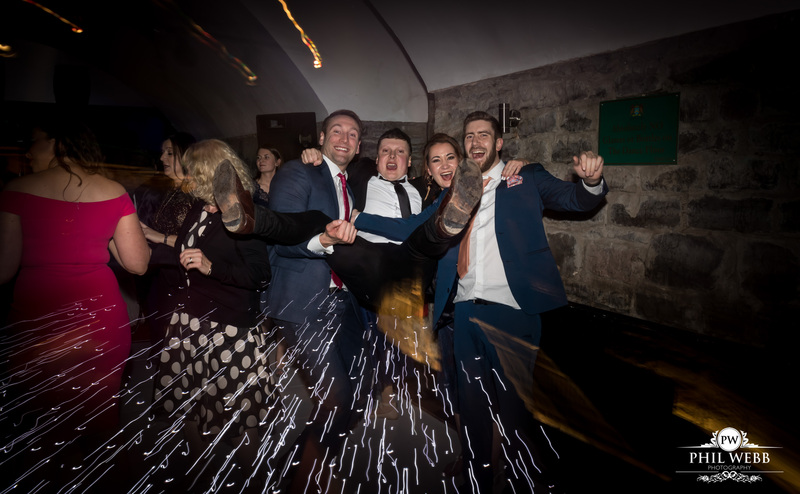 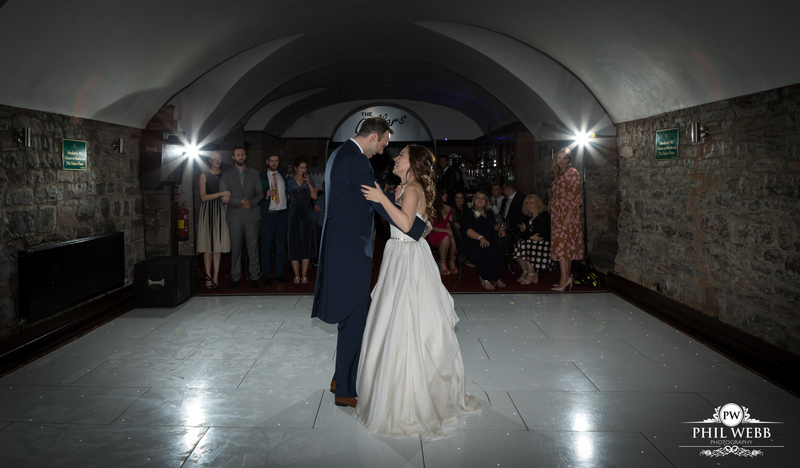 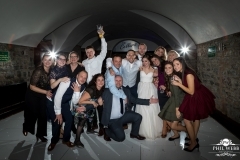 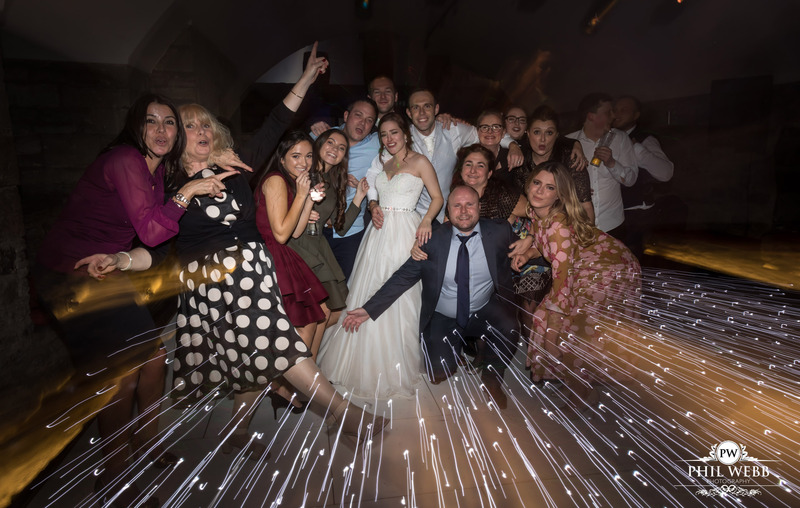 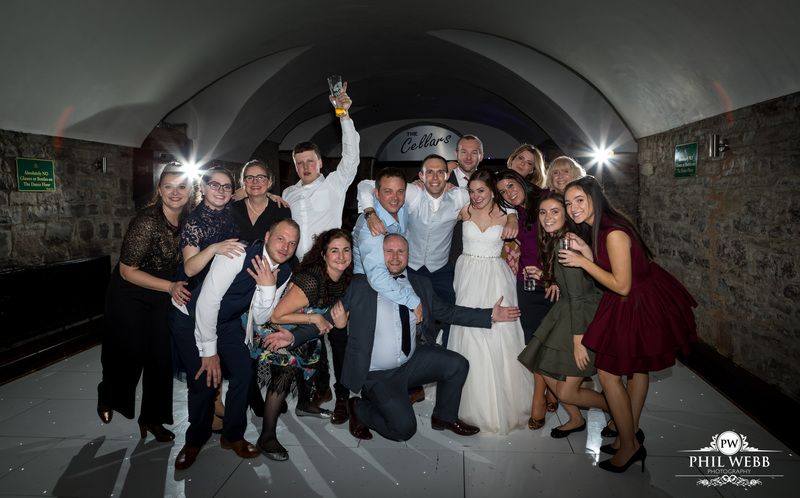 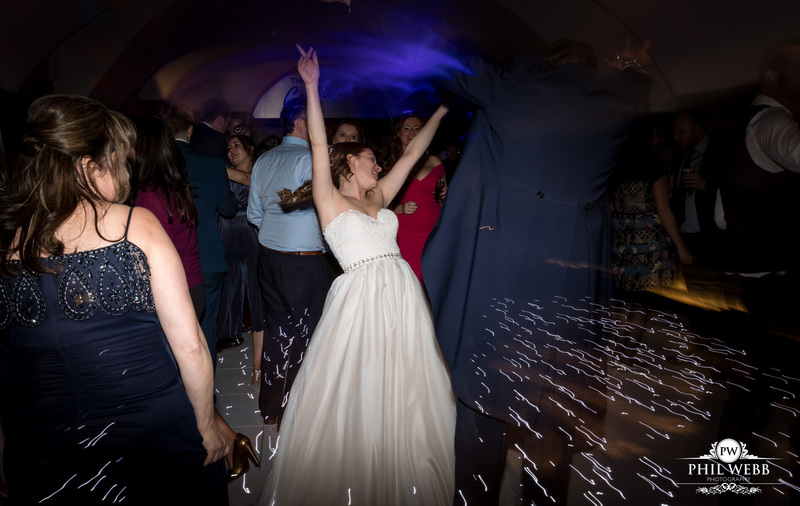 It was then downstairs to the cellar bar for the first dance and party time, and what a great bunch of friends and family who were up for a party. 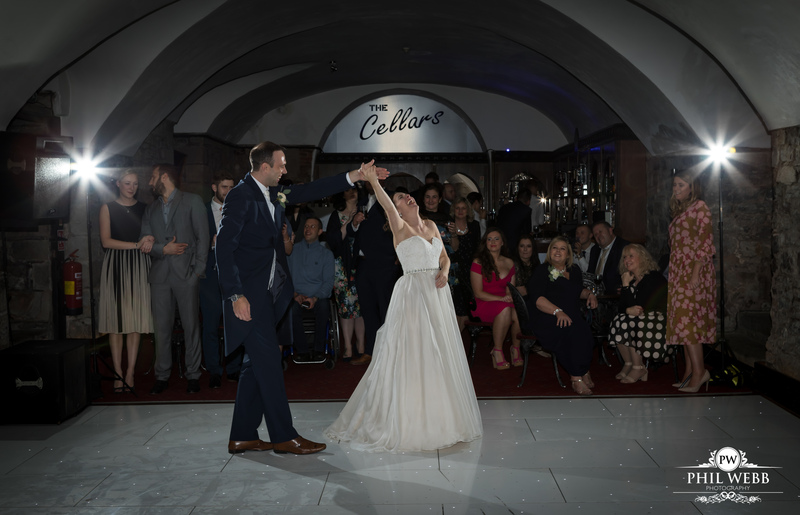 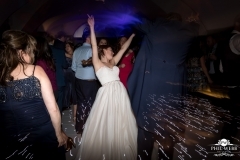 Some great celebration images followed as the dance floor filled up.